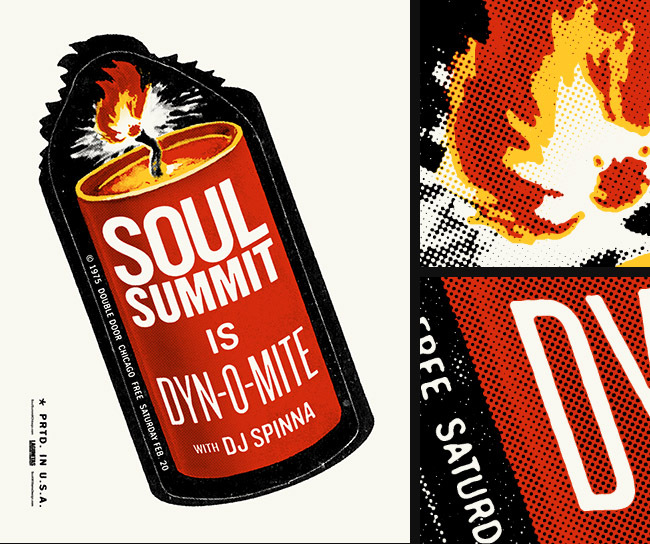 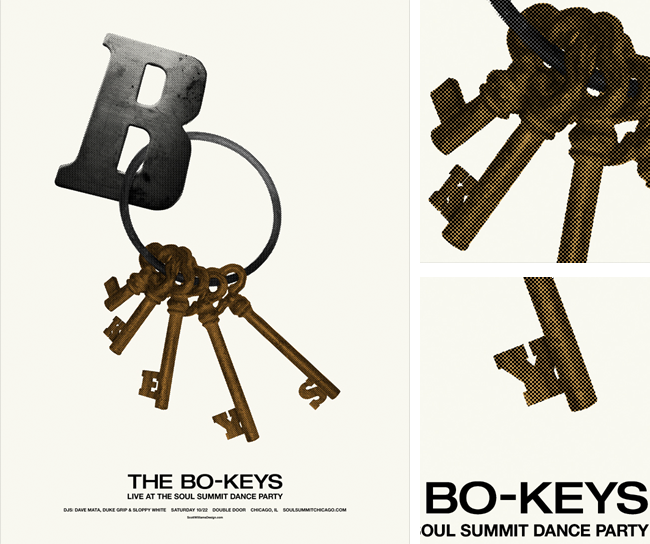 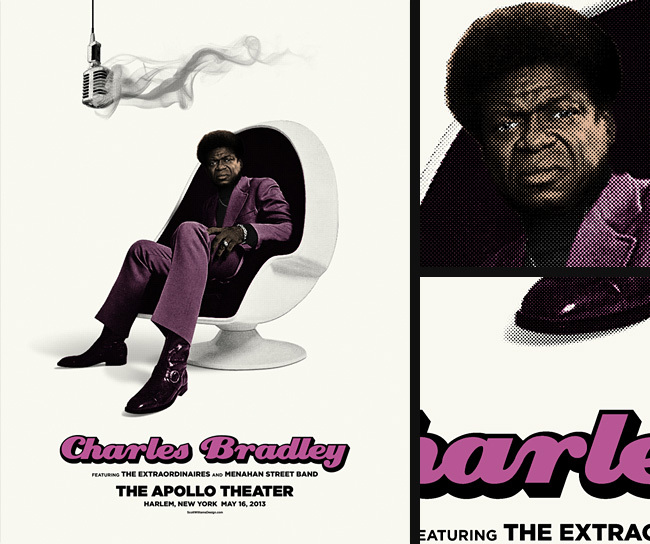 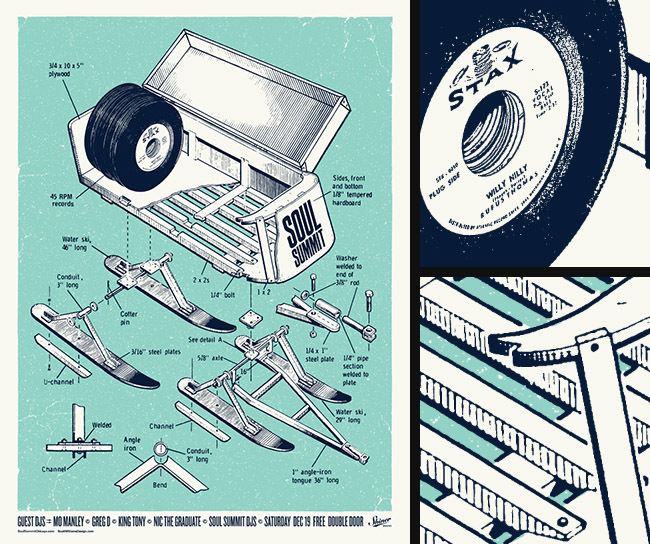 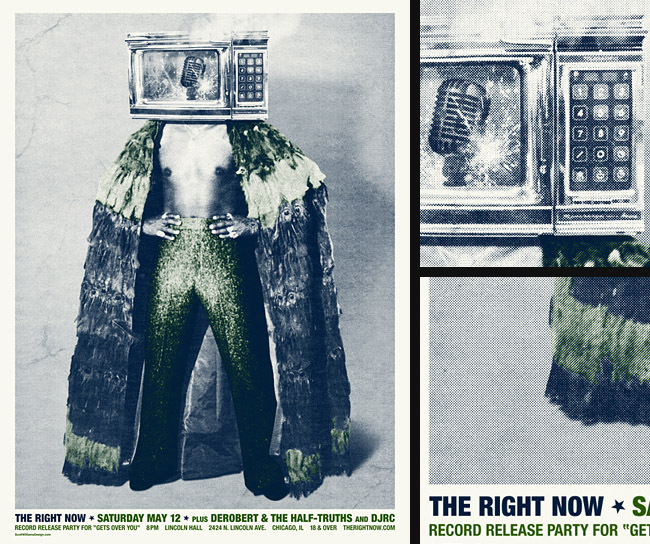 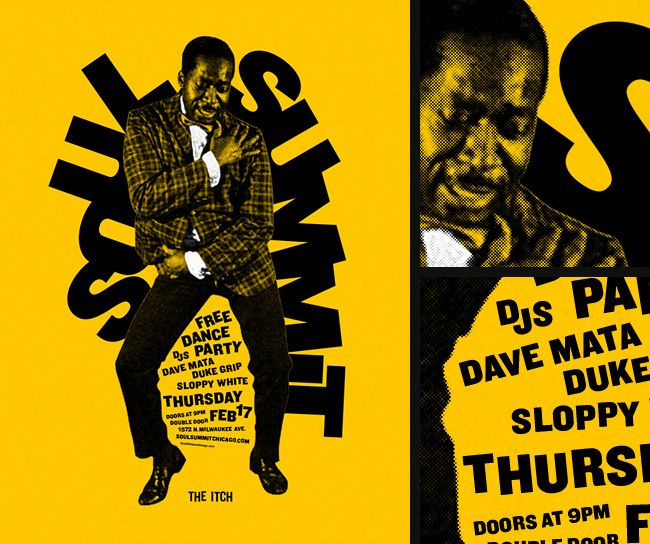 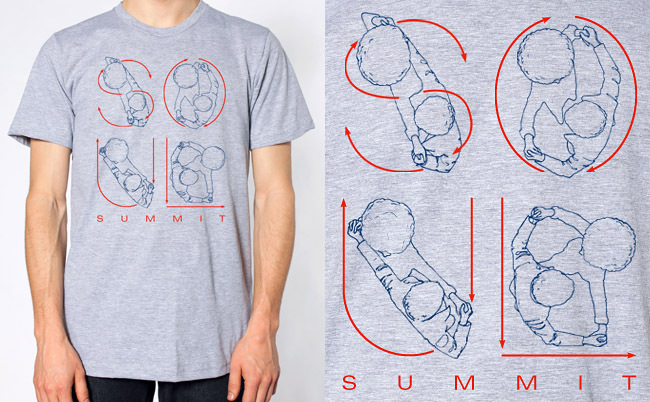 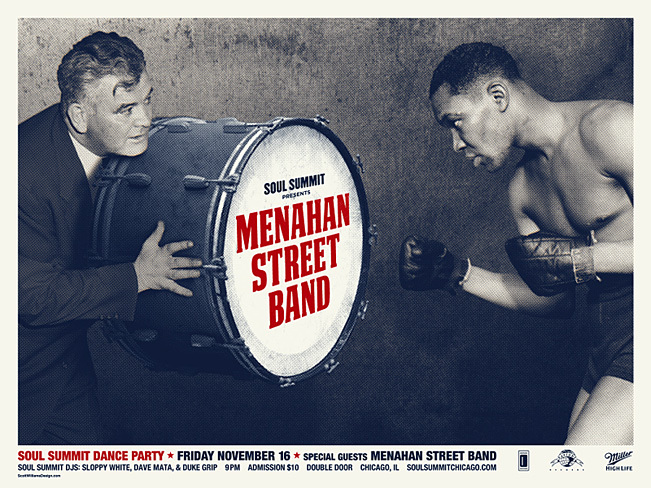 Posters, Mix CDs, 1” buttons, you can get all that stuff right here or come to the party. 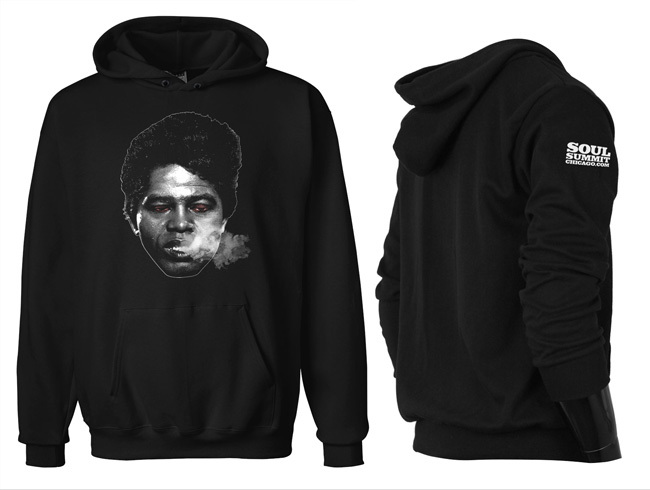 We’re currently working on getting a cart system set up but in the meantime you can email us what you’d like to purchase and pay via PayPal. 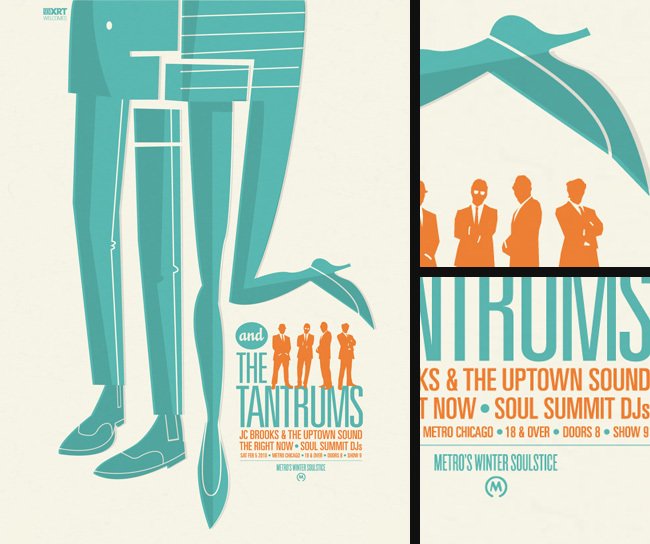 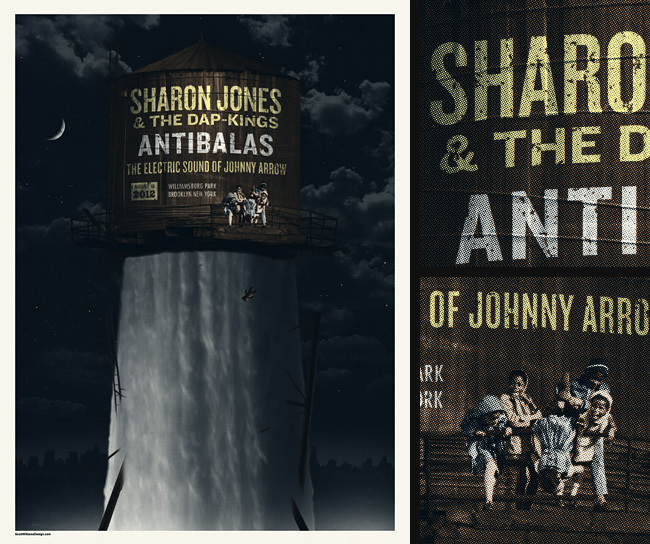 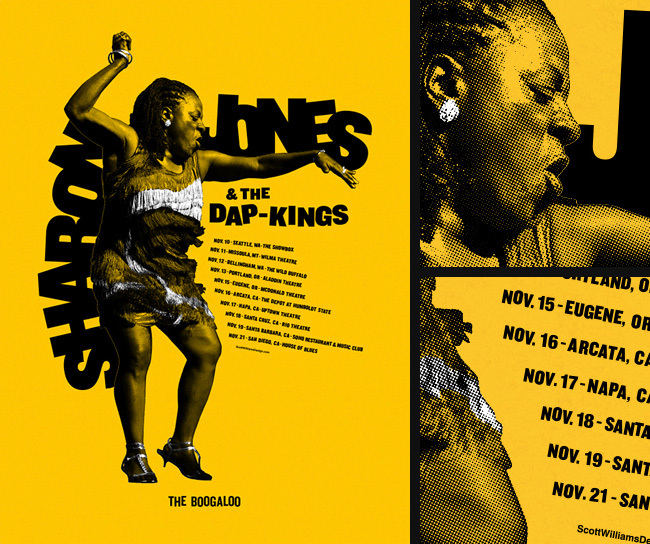 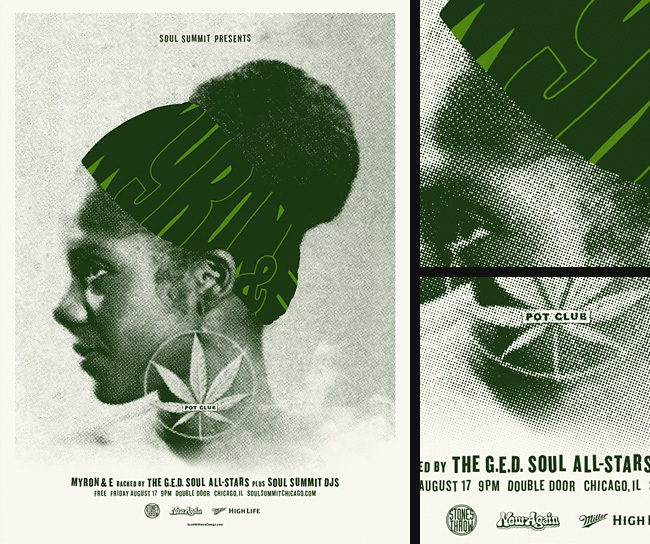 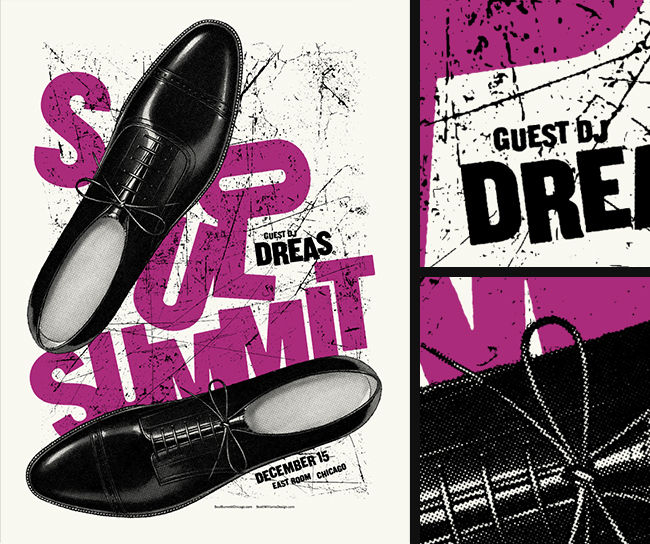 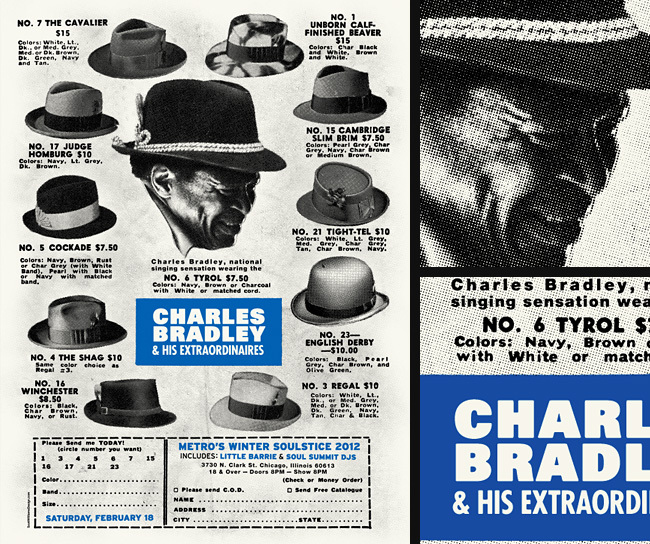 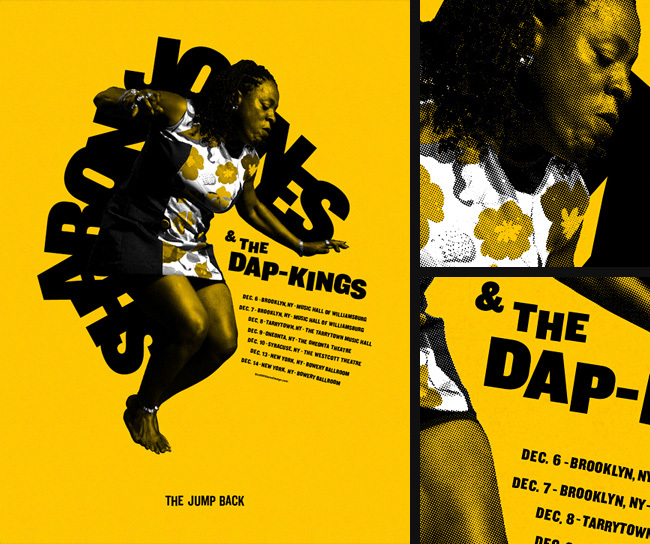 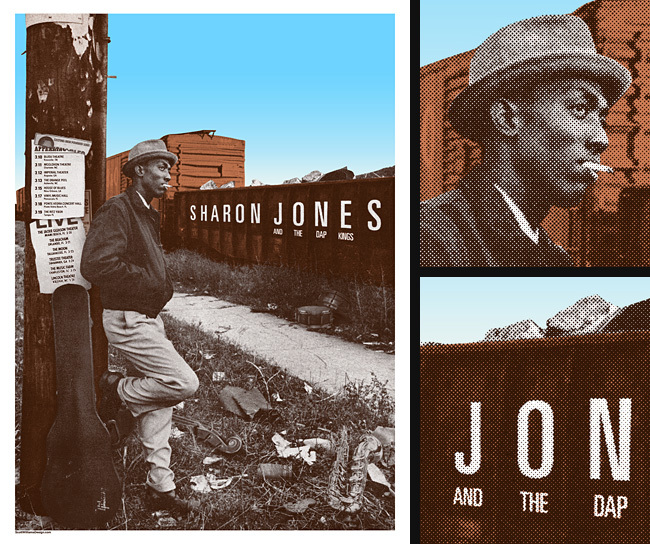 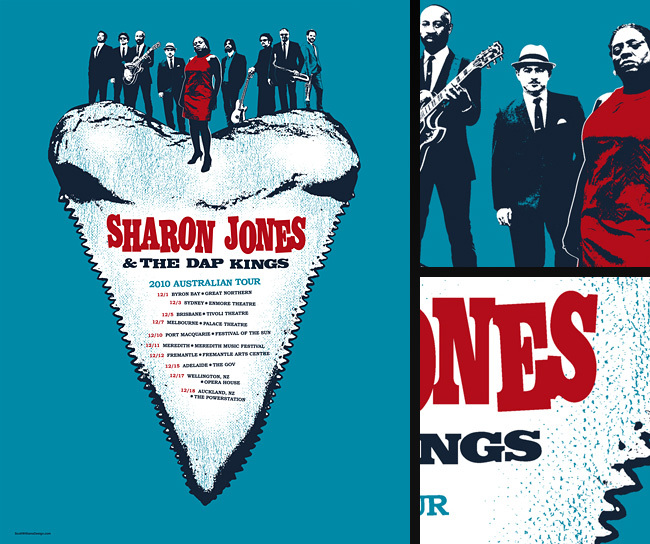 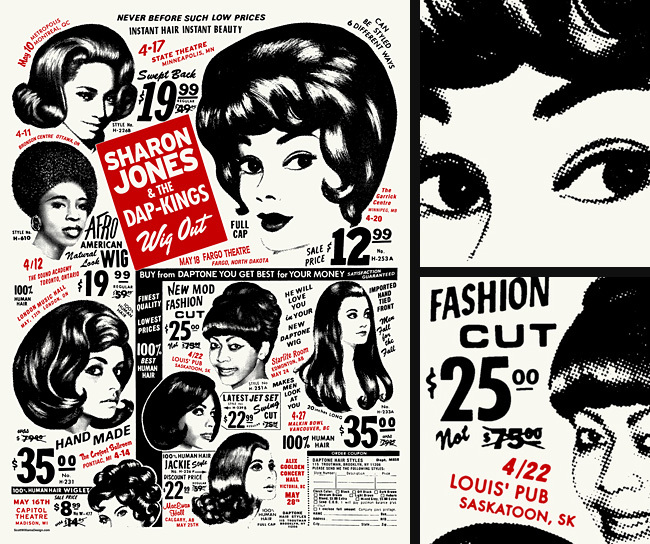 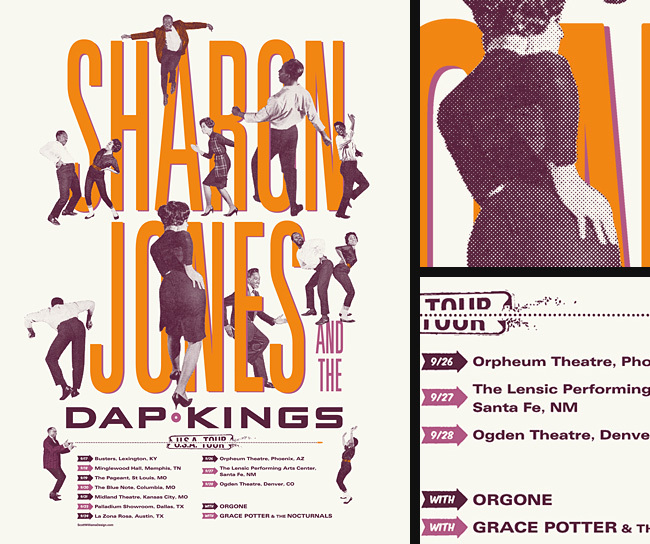 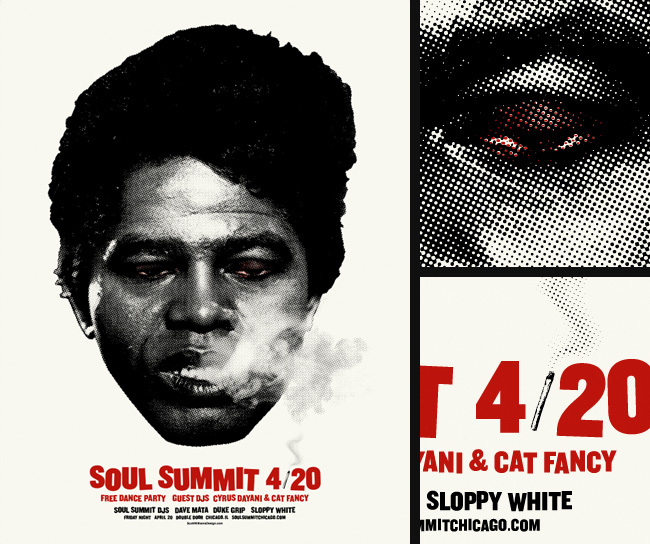 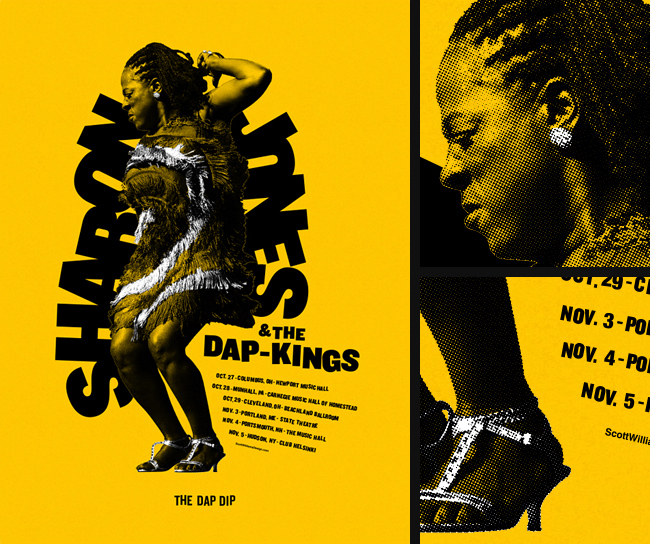 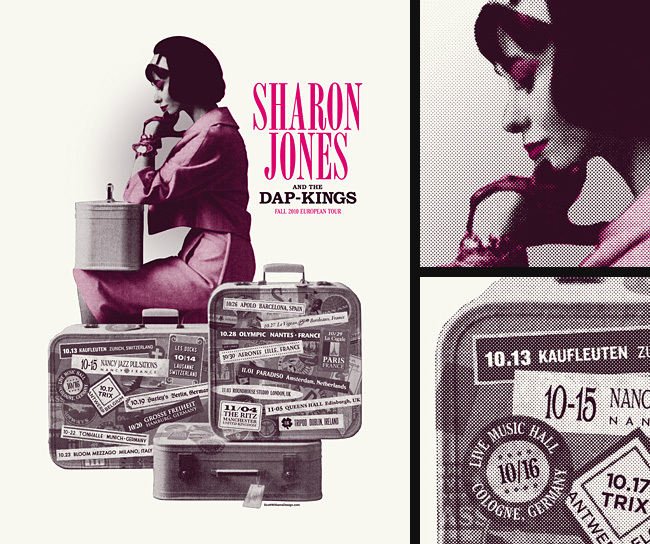 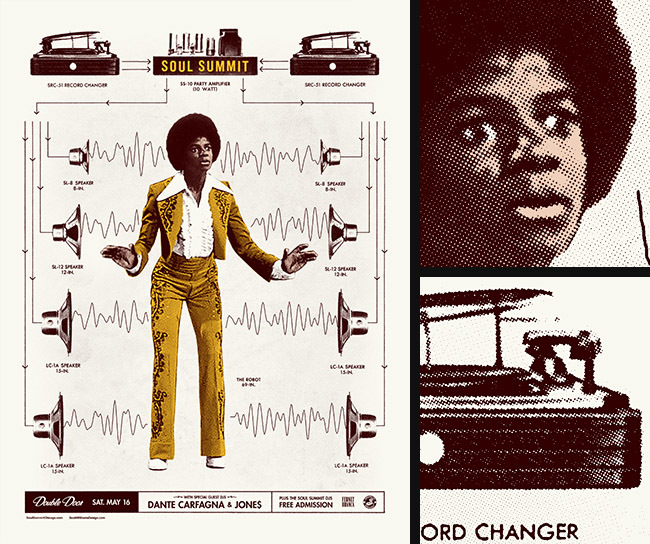 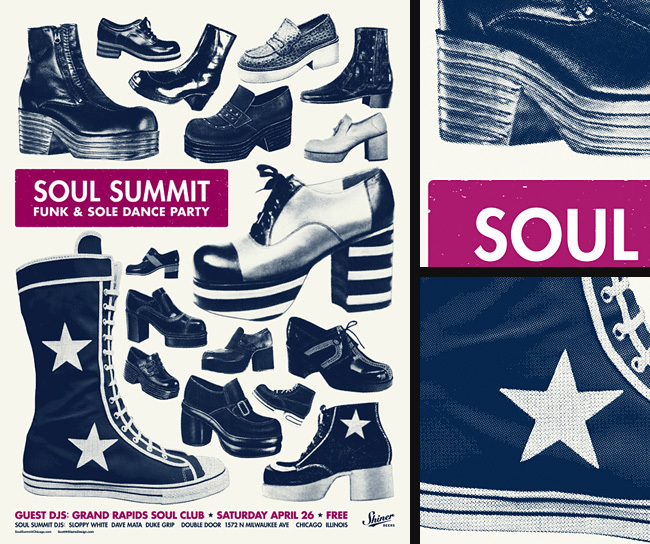 Shipping & handling for posters is $9 (within US) for two posters (more than two email us for a quote). 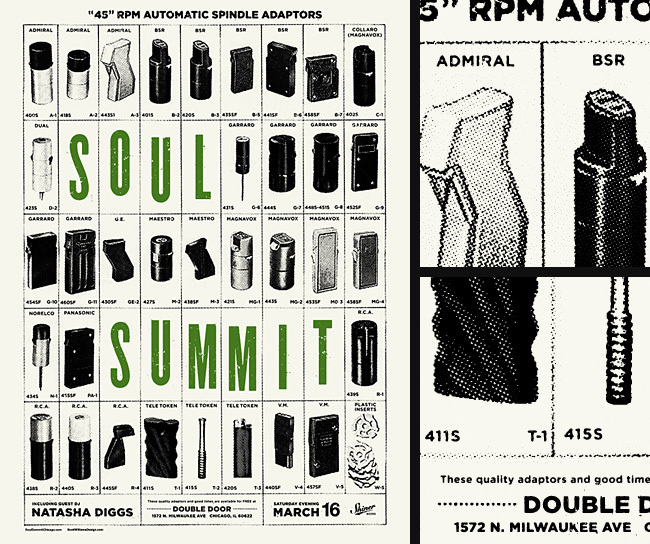 For mix CDs and buttons, it's $6 (within US). 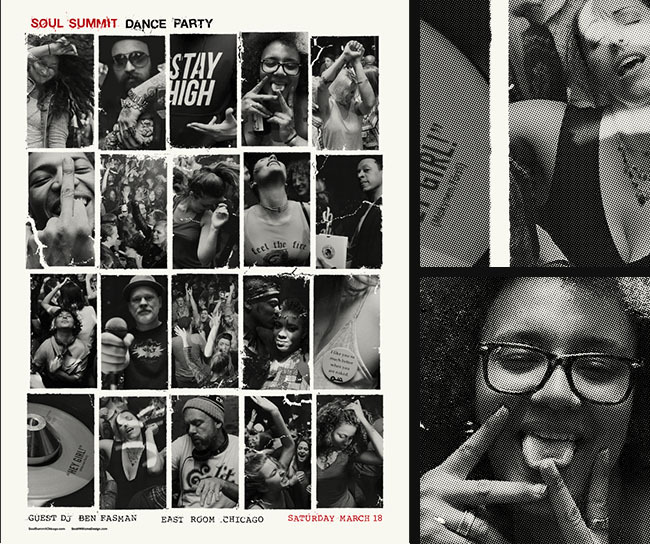 Posters ship seperately from CDs / buttons. 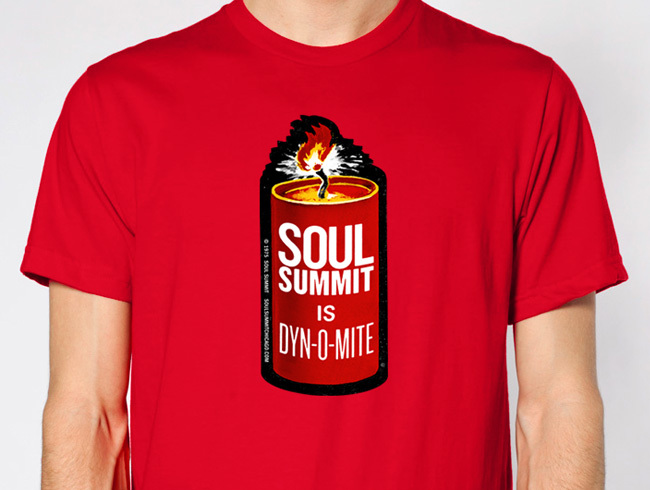 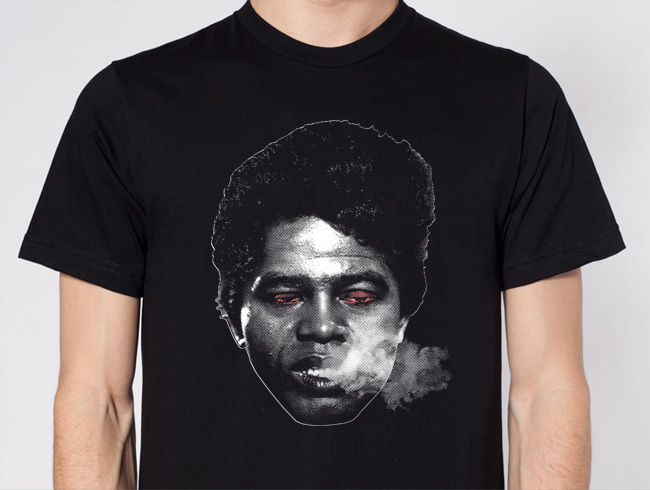 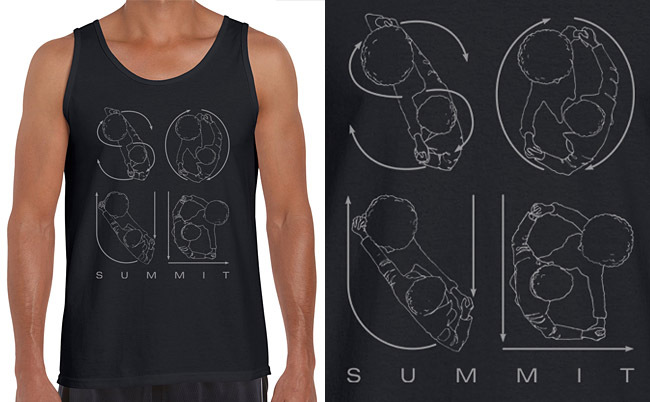 Email us what you’d like to purchase and we'll send you info on how to pay via PayPal. 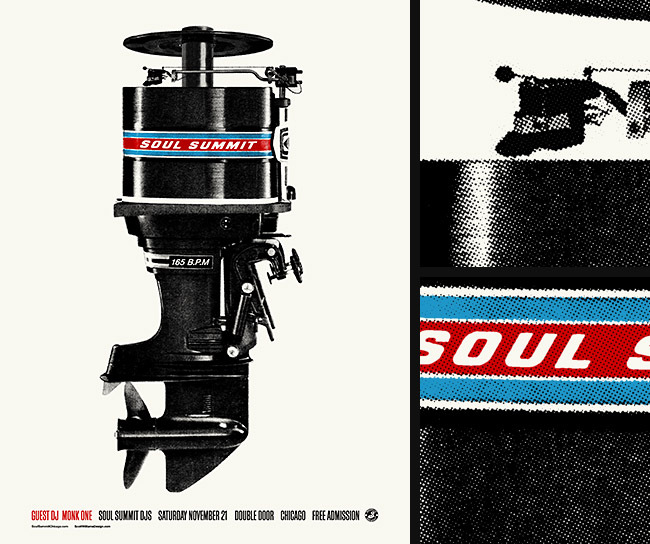 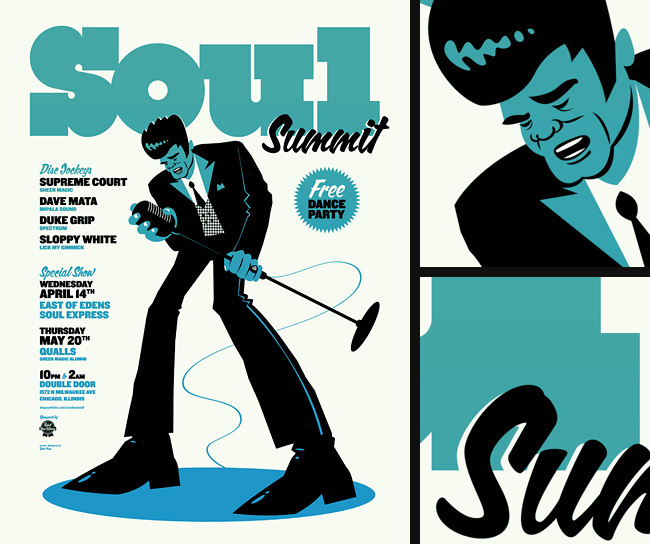 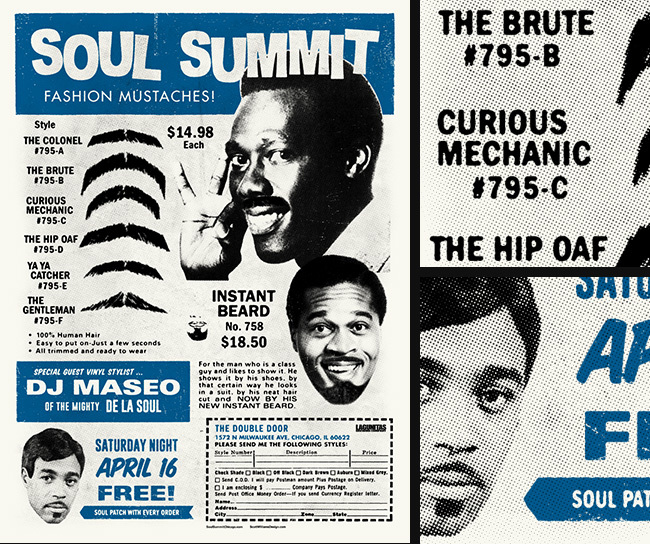 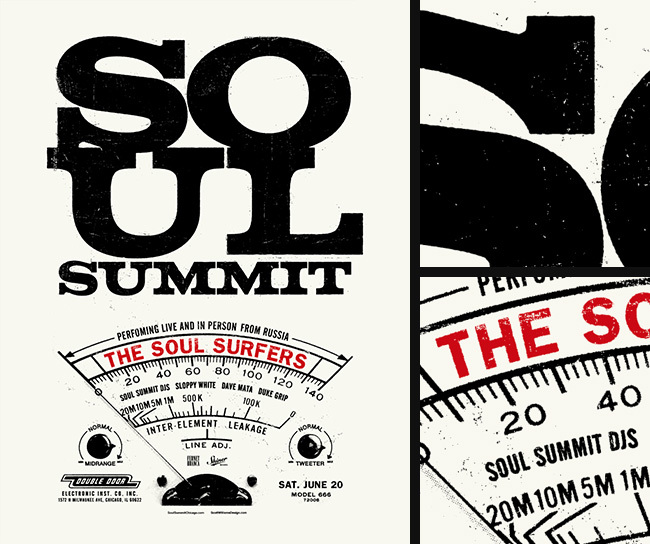 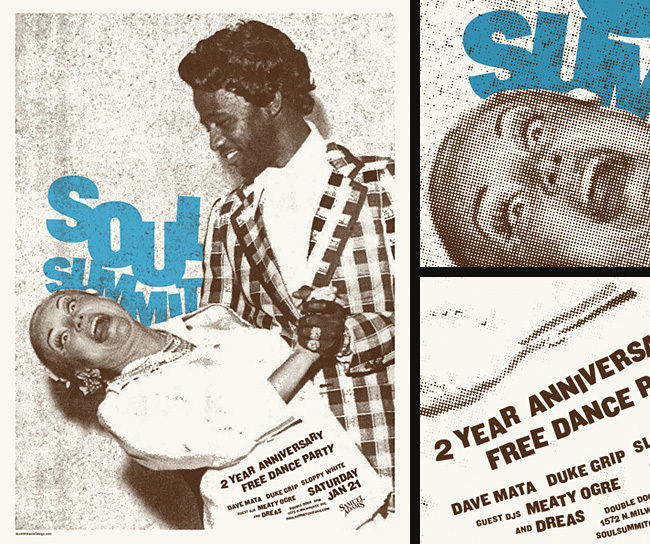 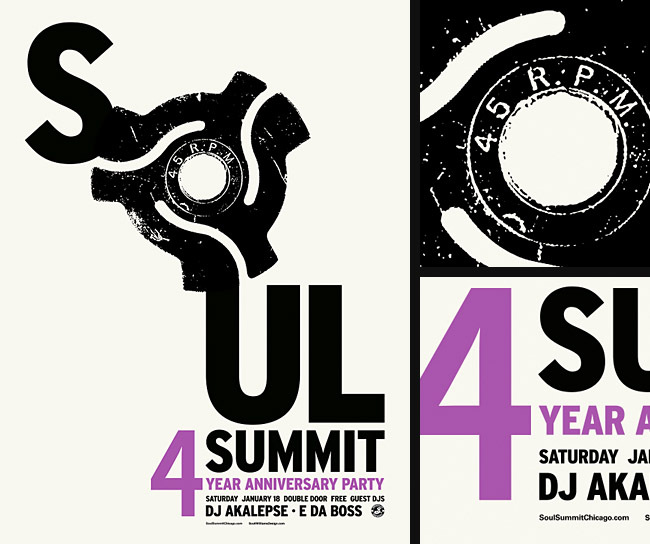 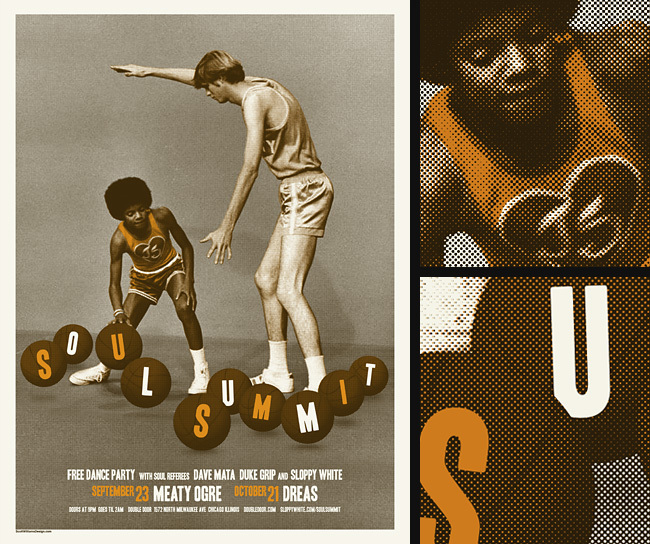 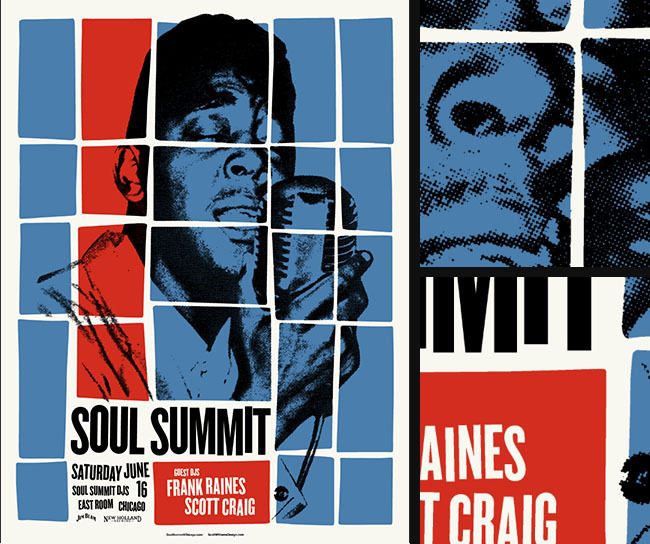 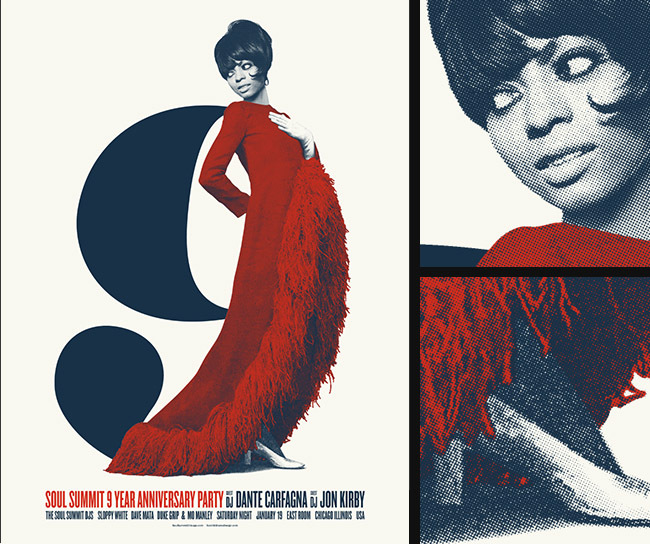 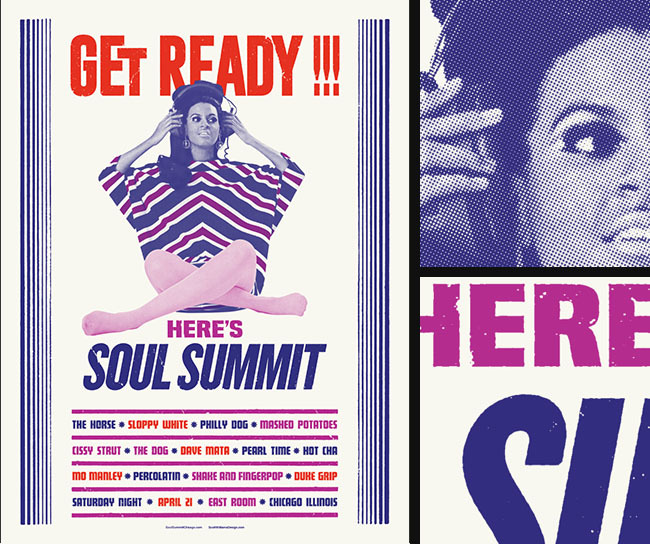 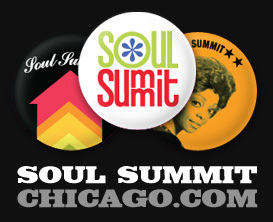 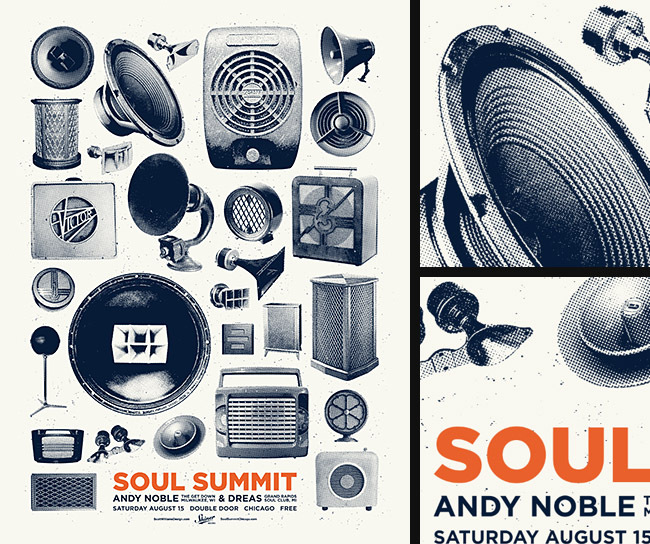 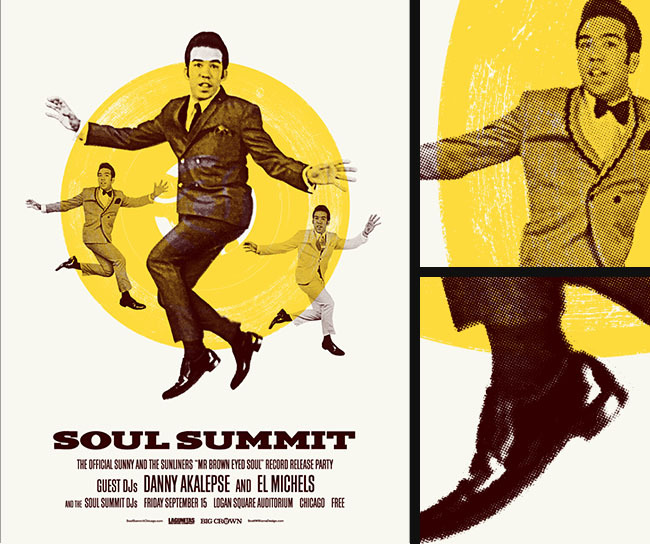 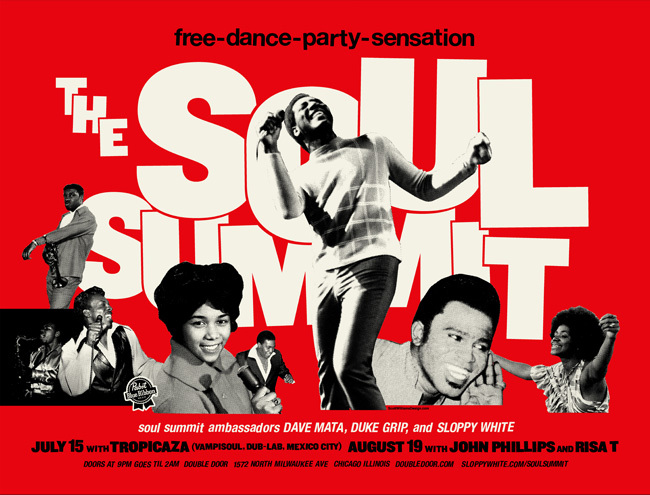 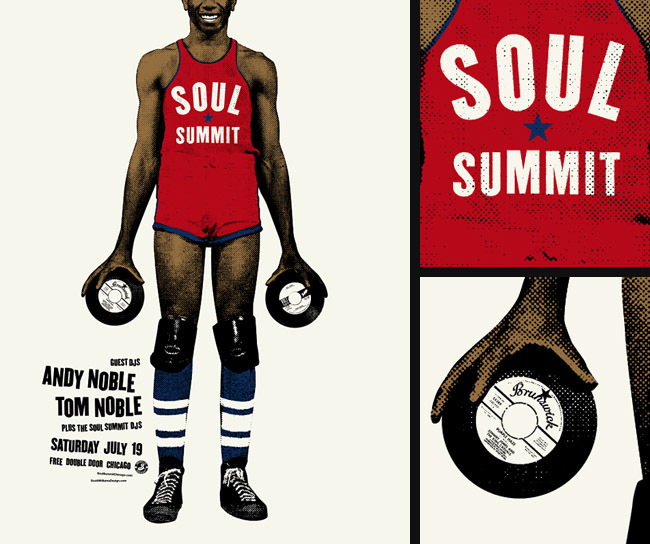 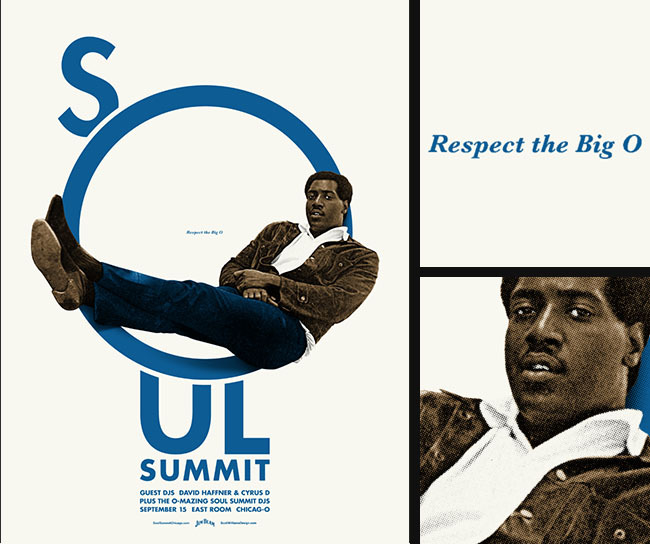 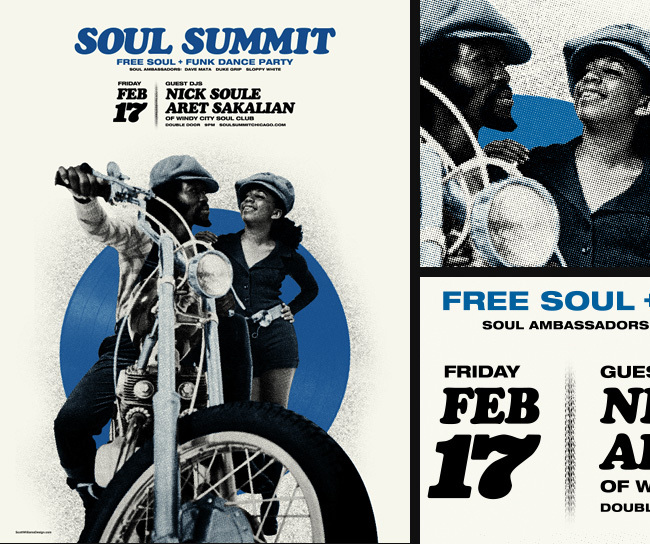 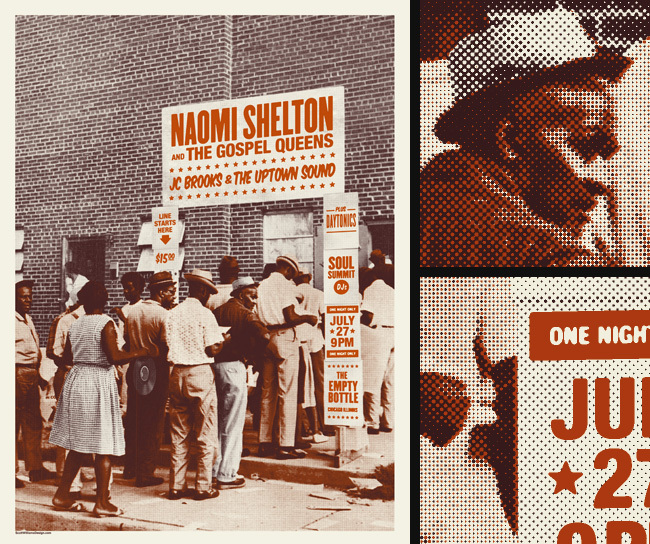 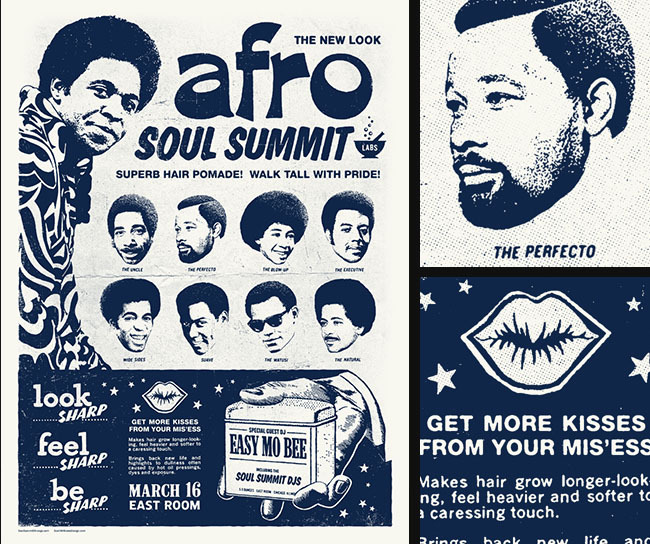 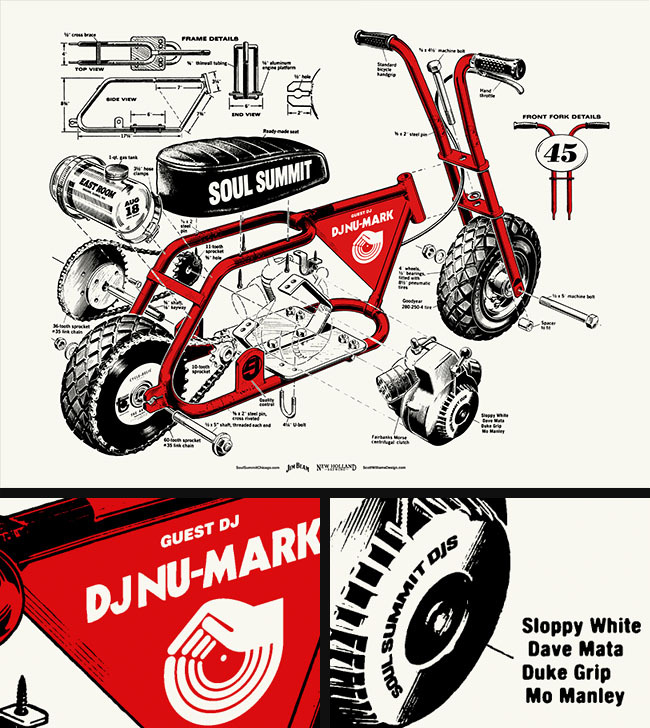 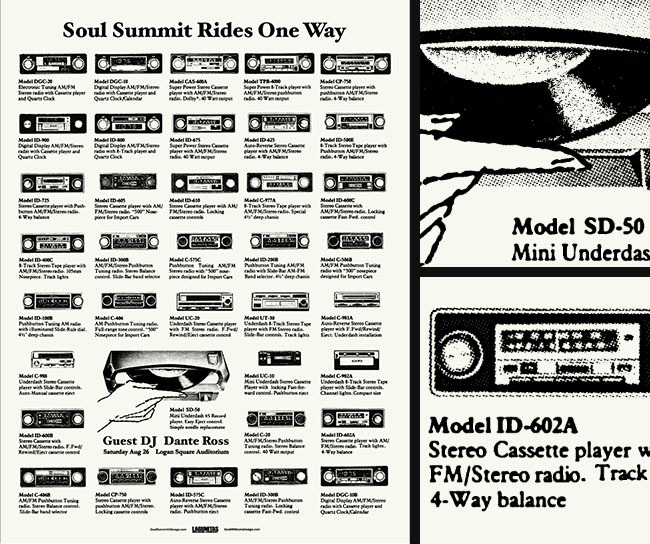 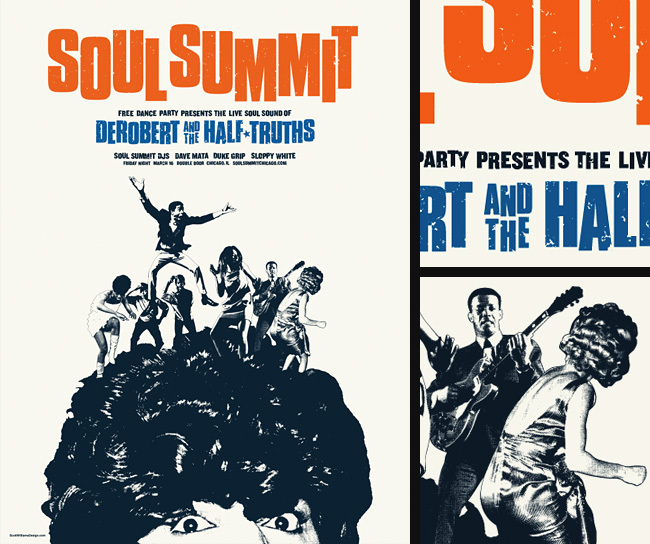 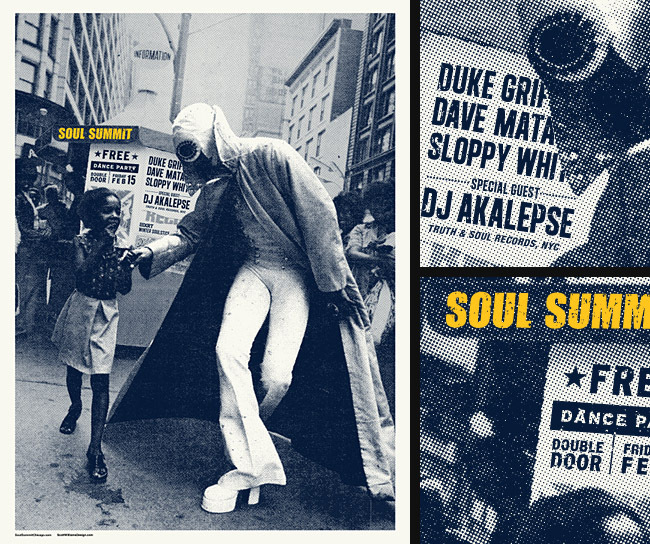 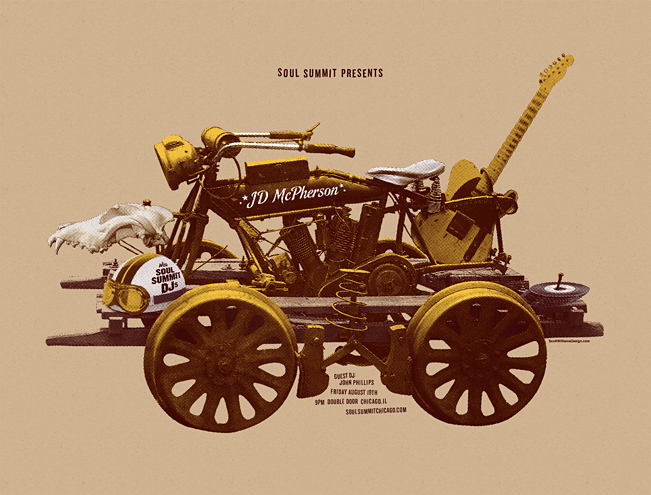 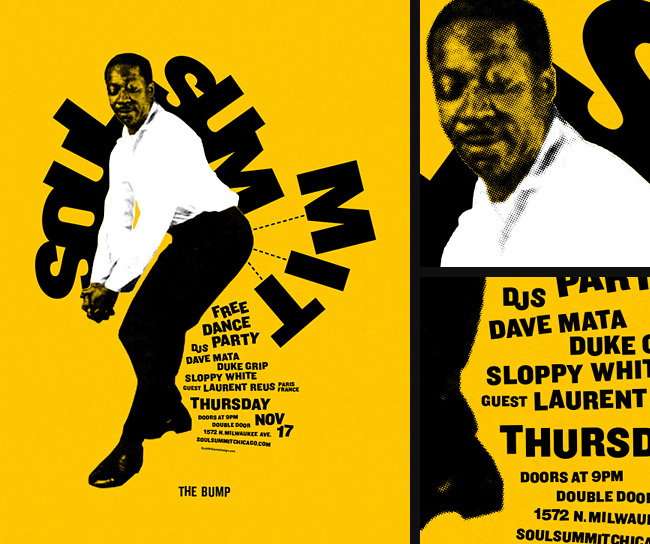 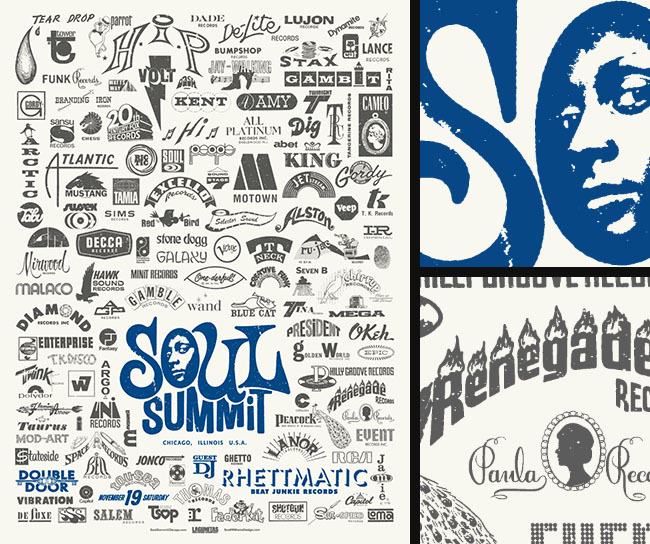 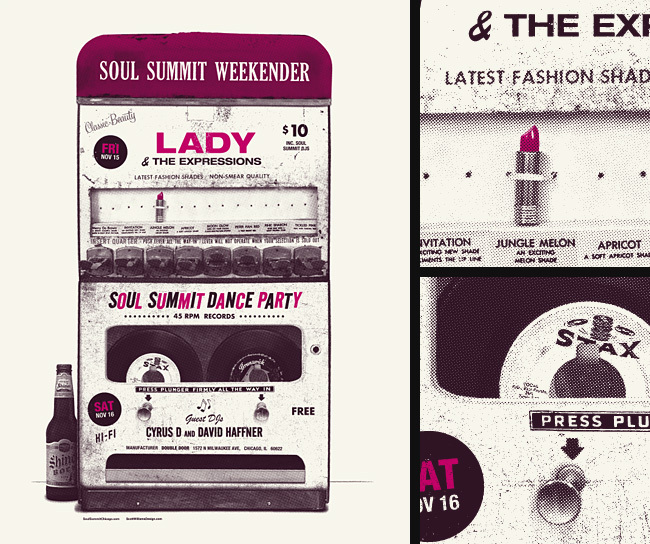 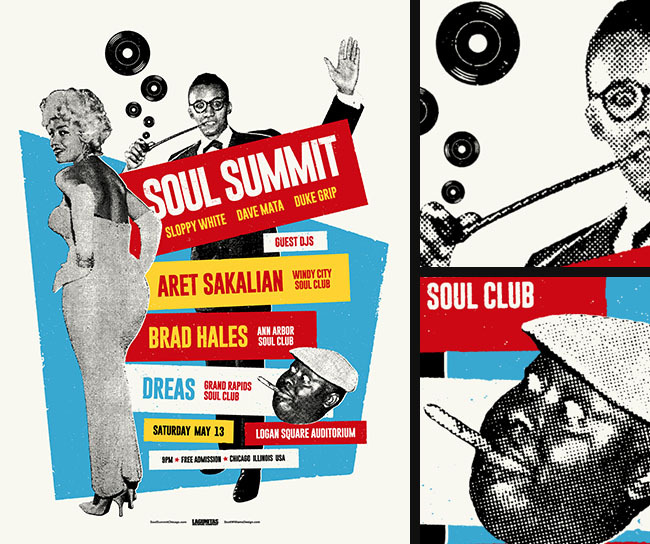 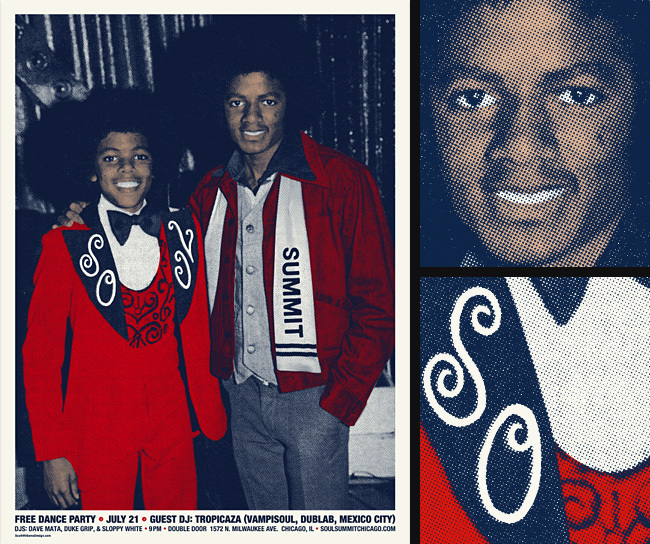 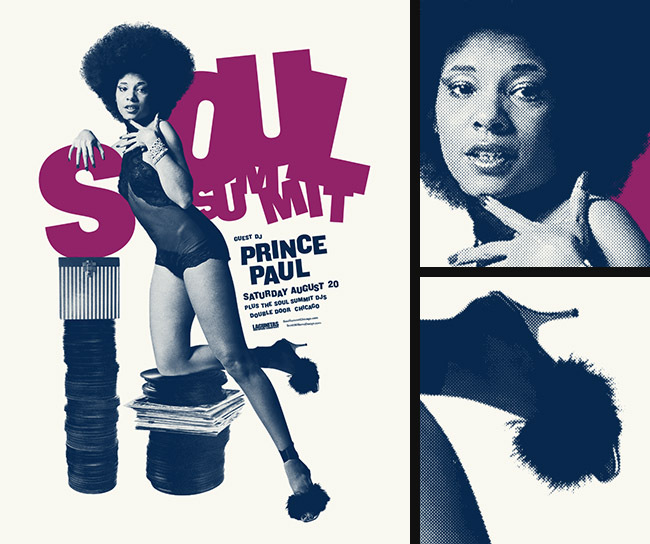 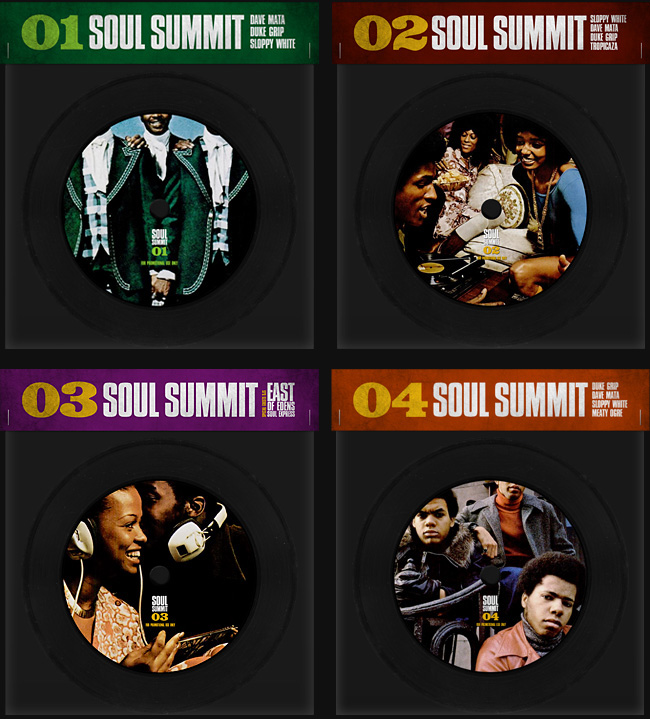 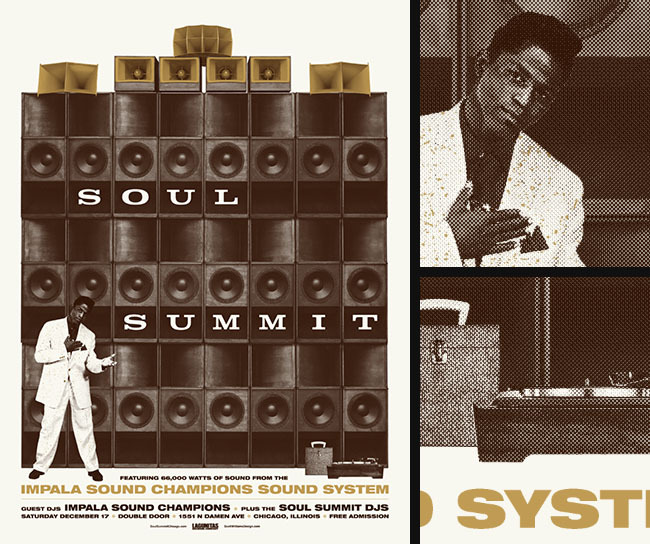 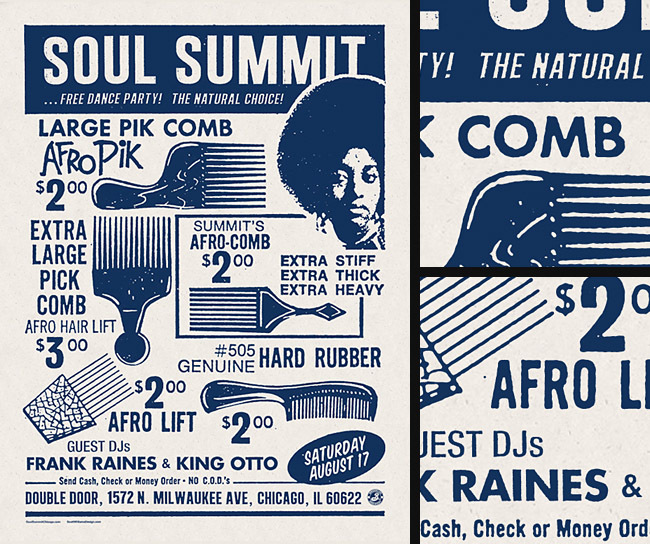 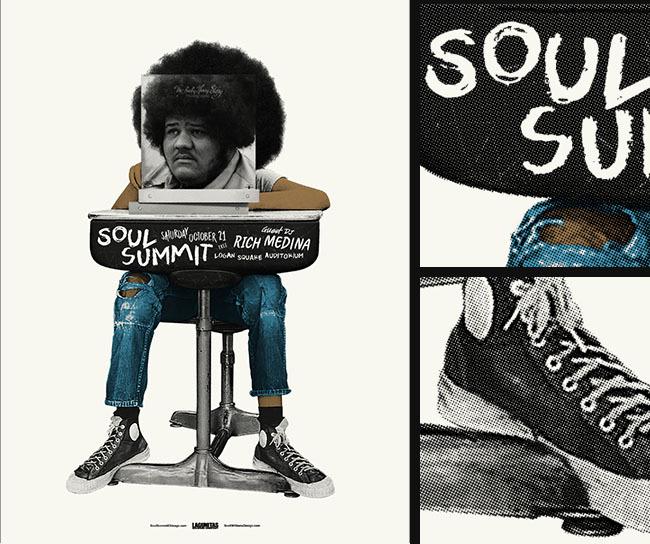 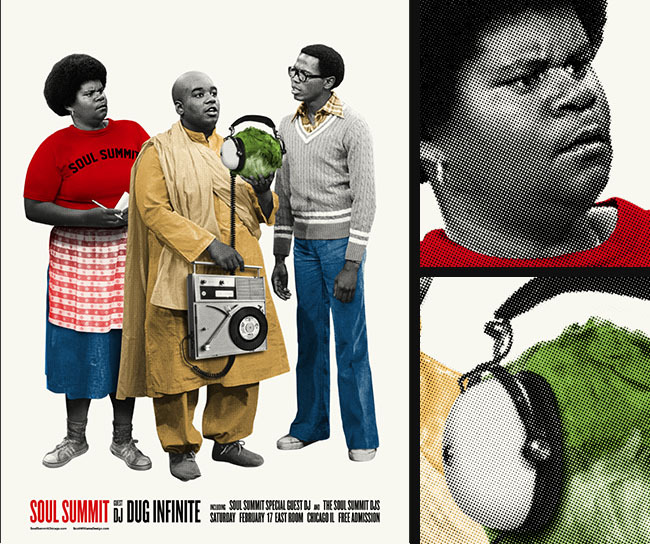 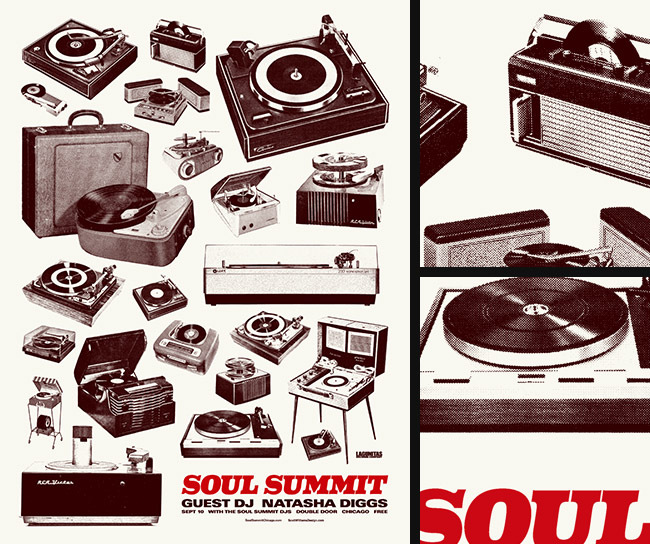 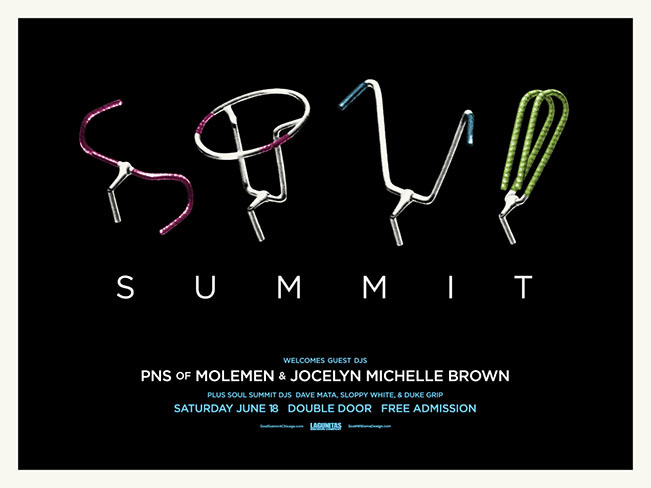 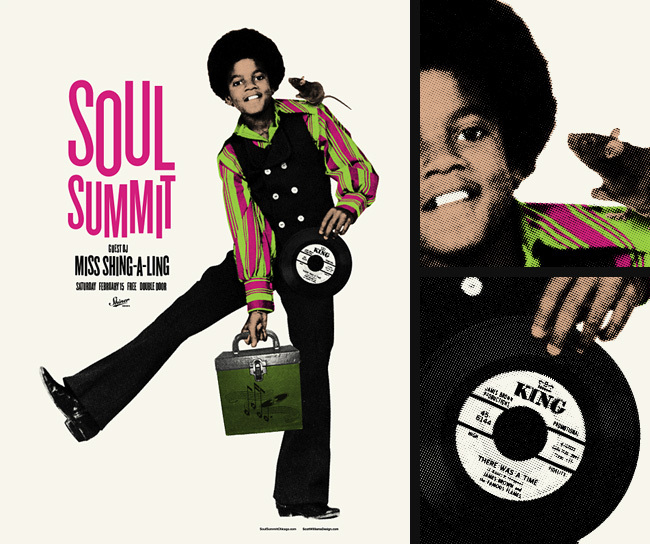 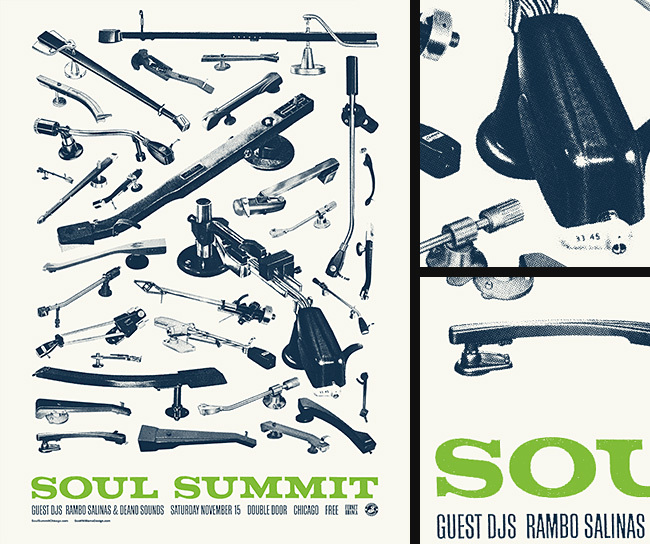 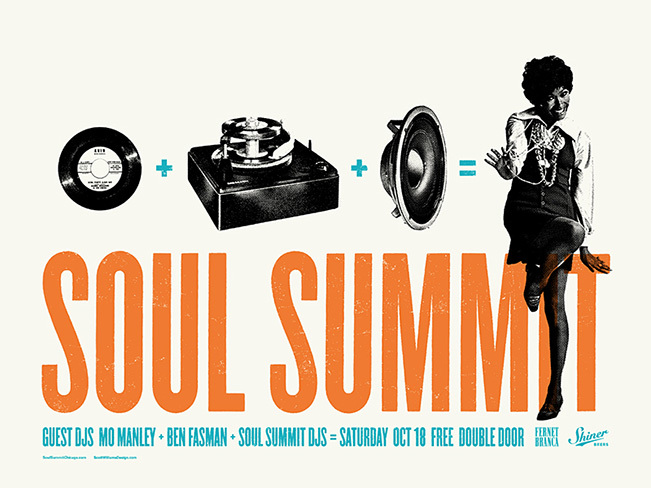 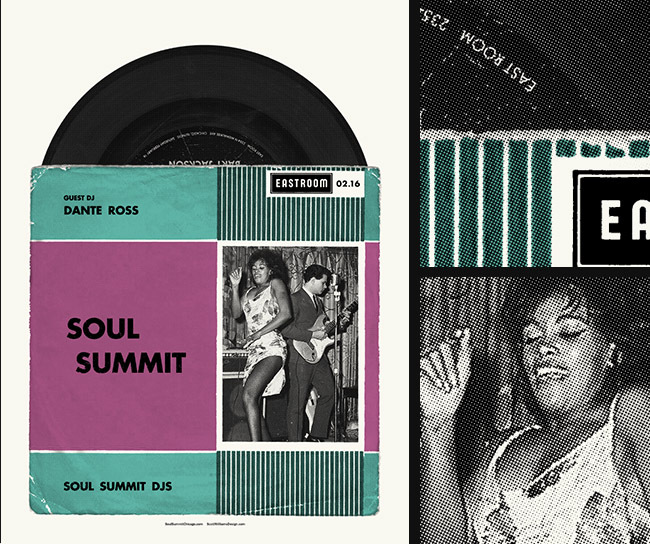 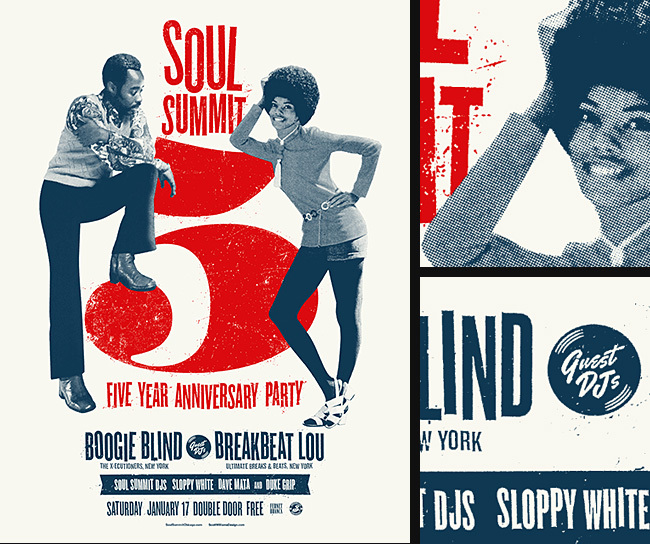 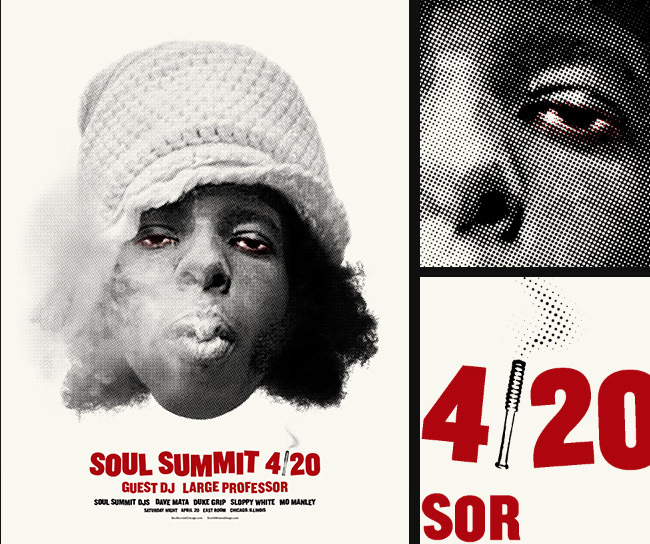 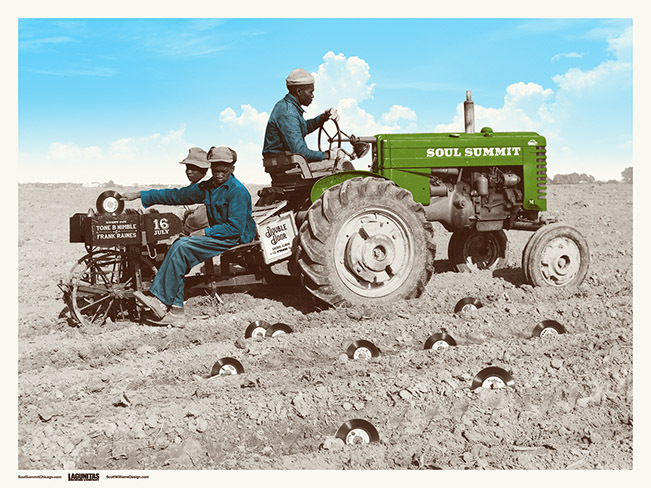 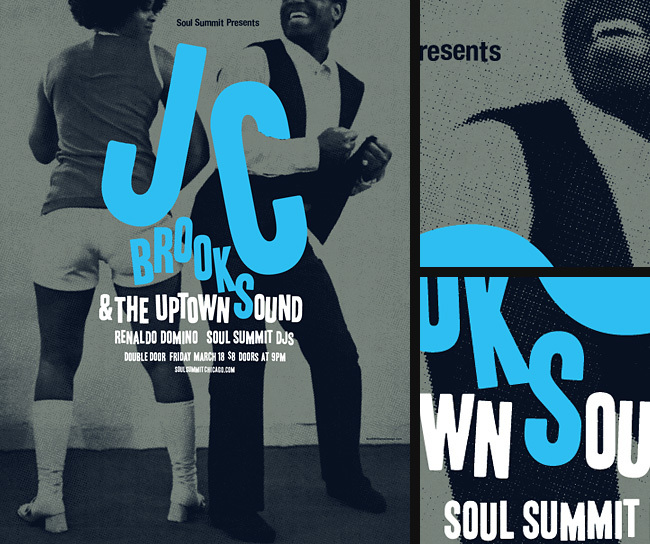 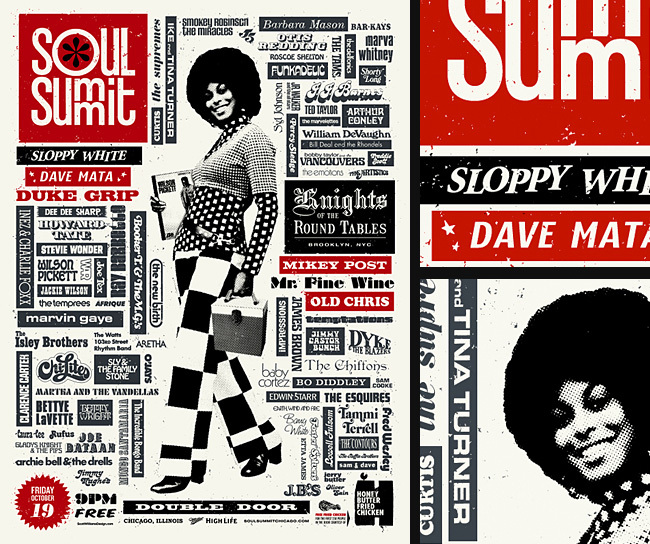 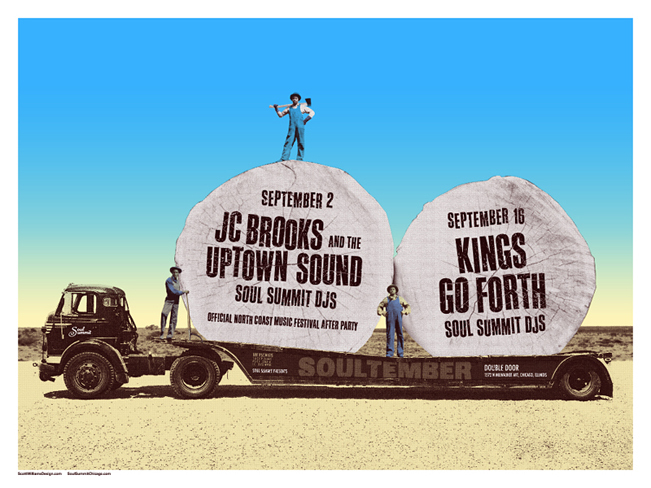 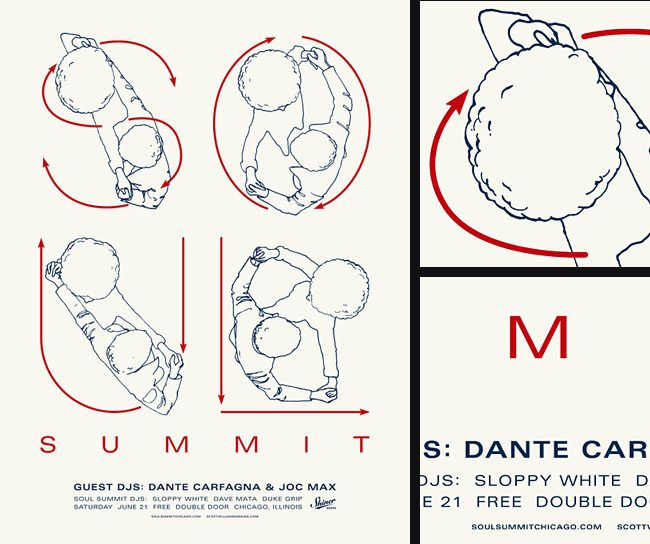 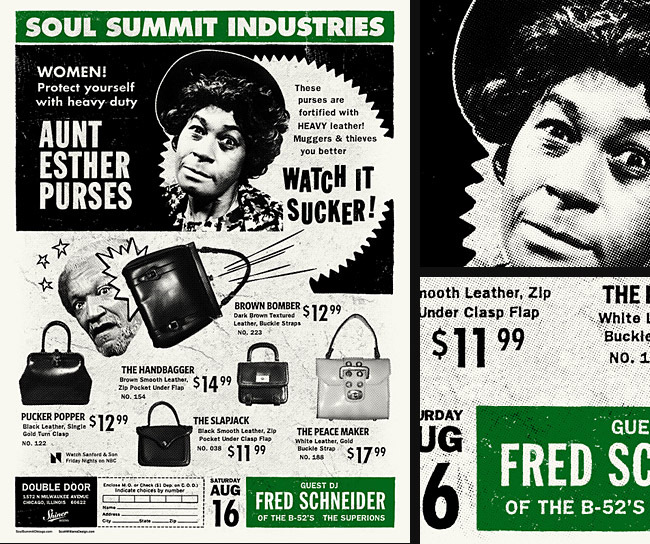 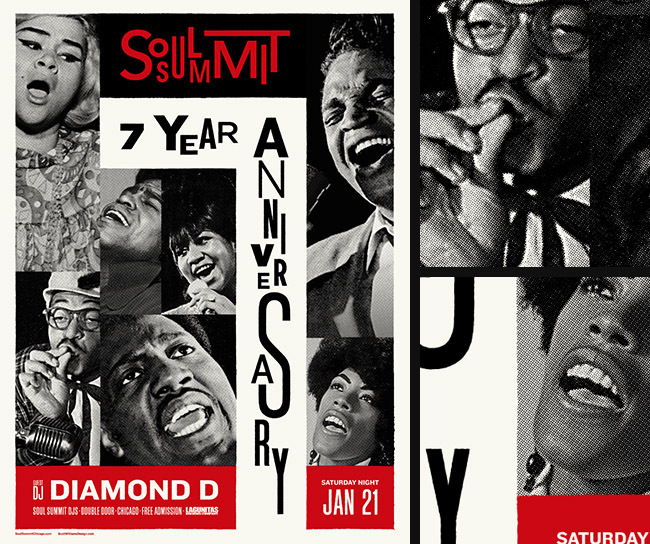 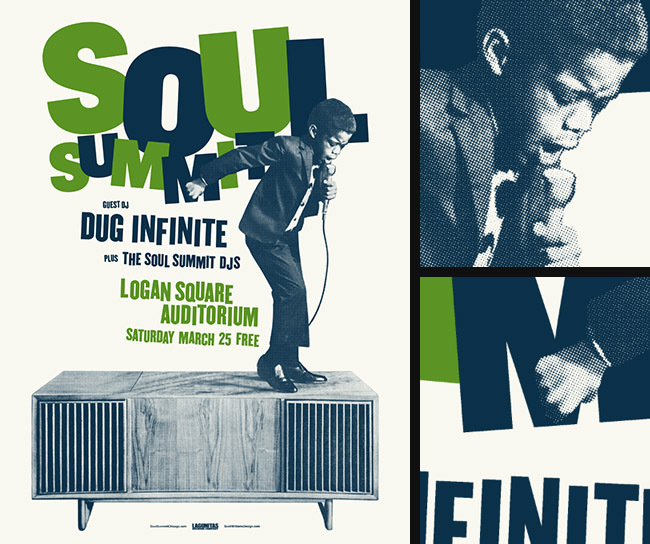 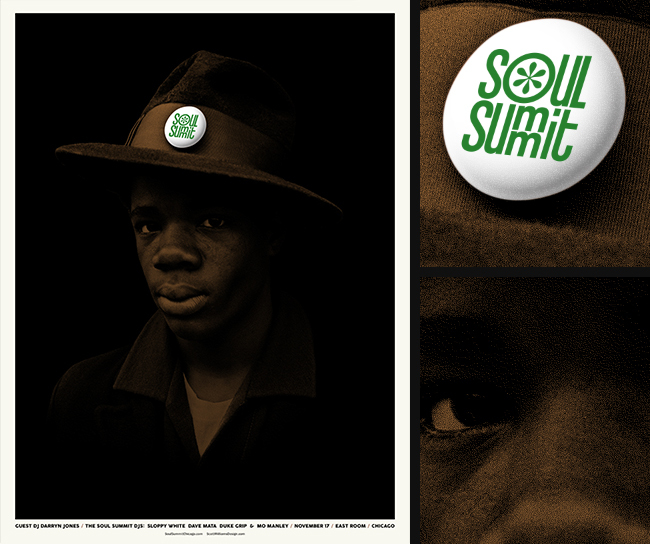 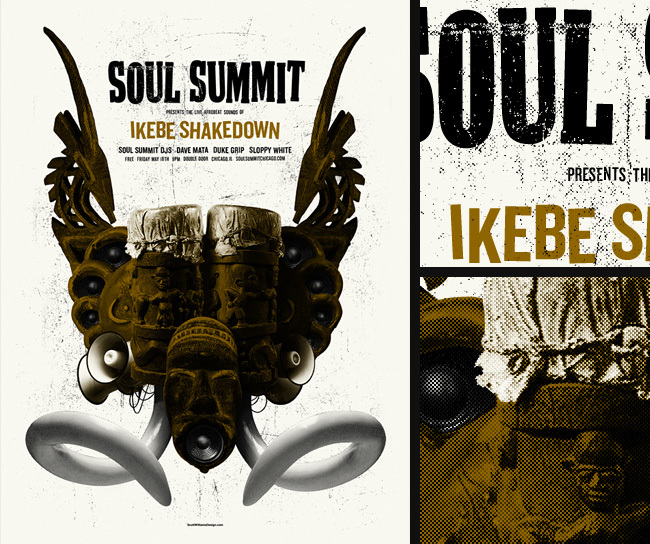 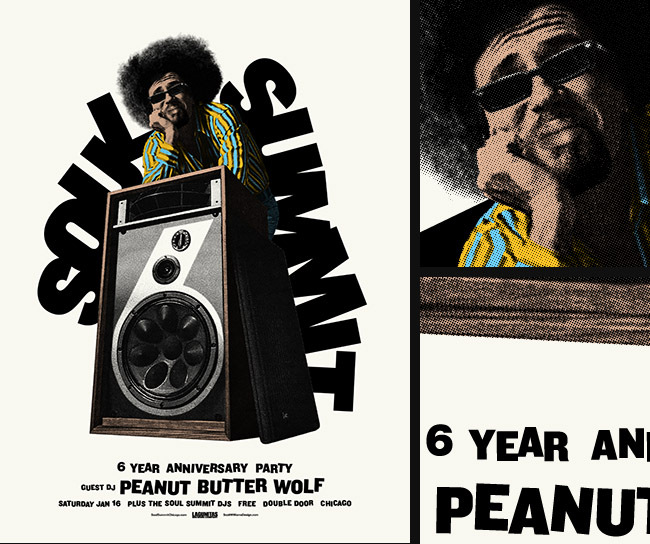 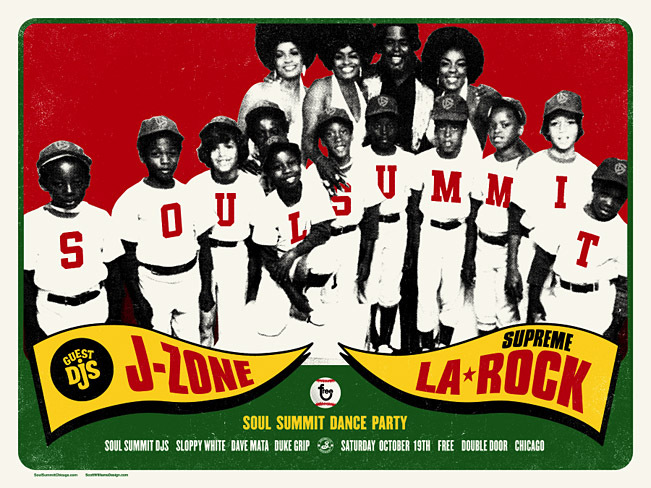 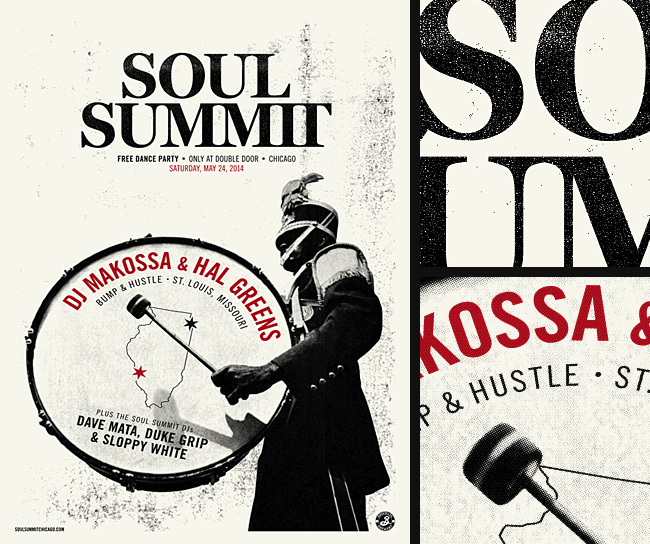 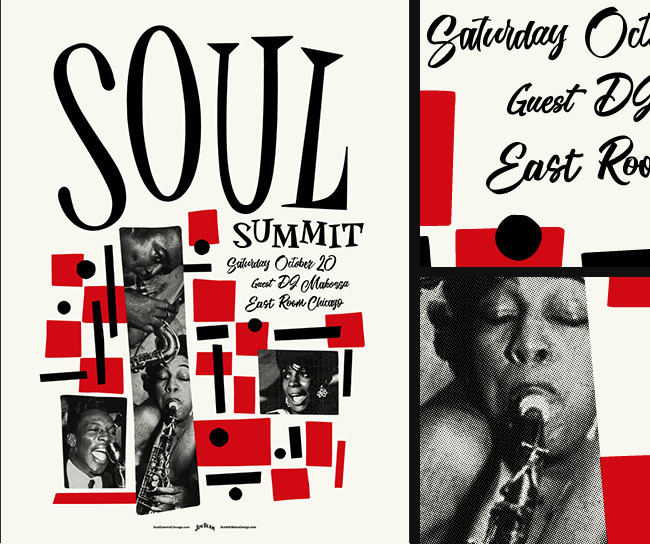 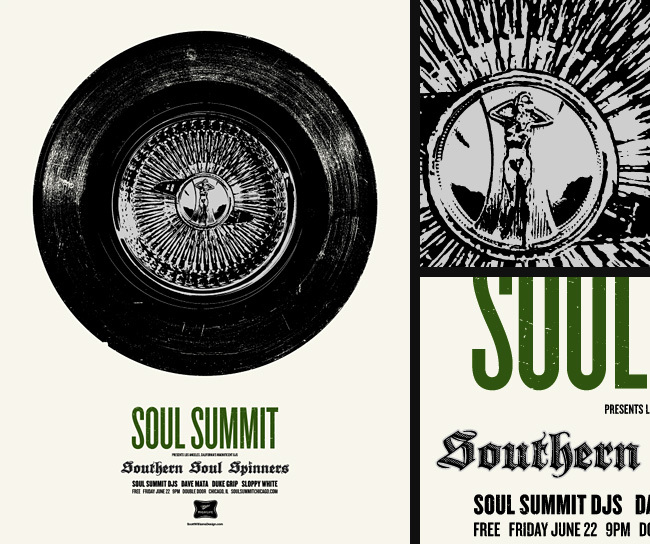 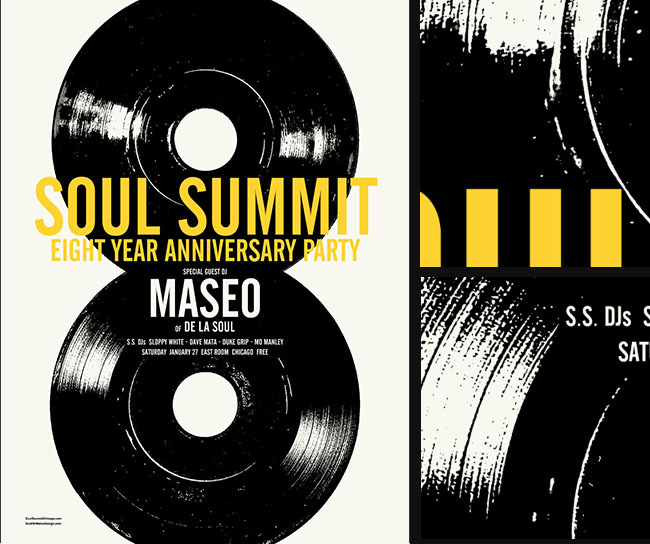 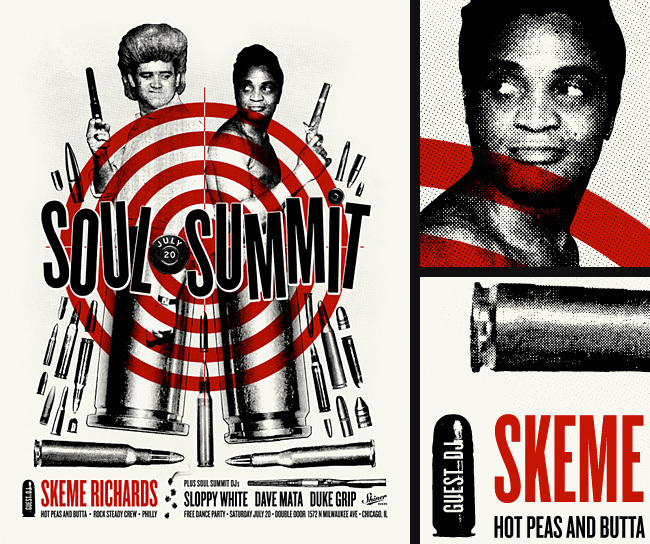 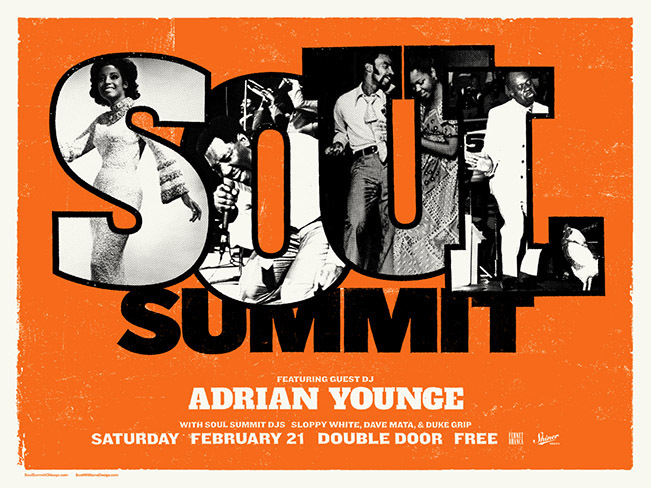 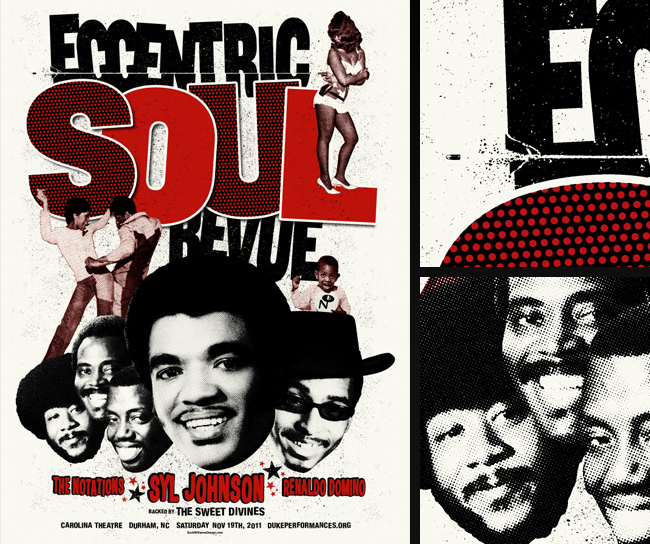 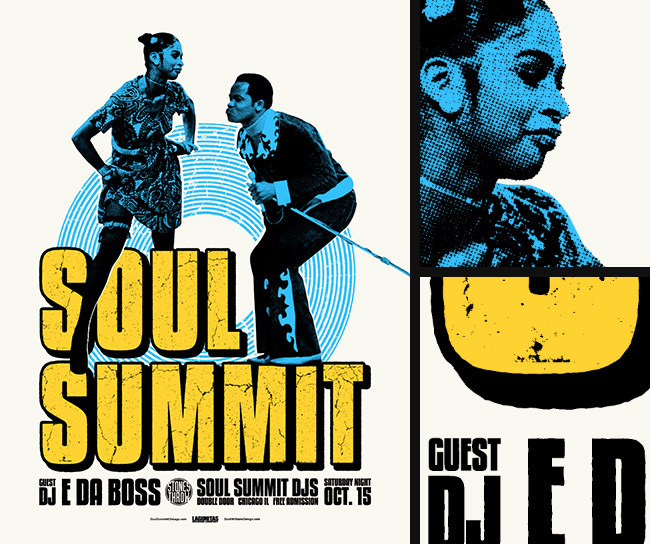 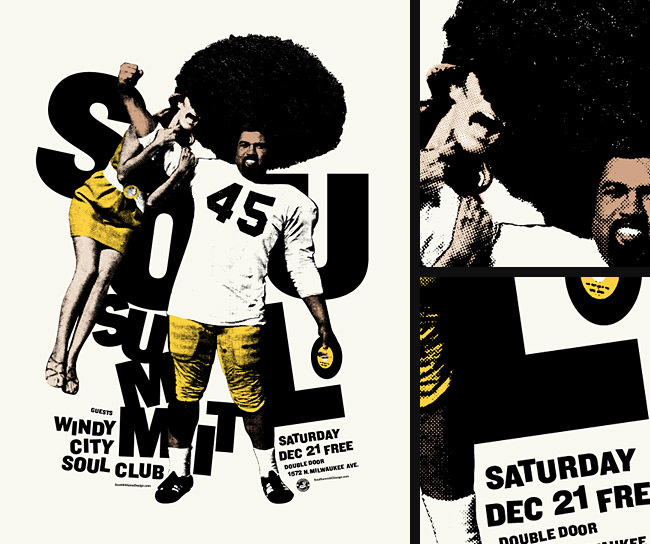 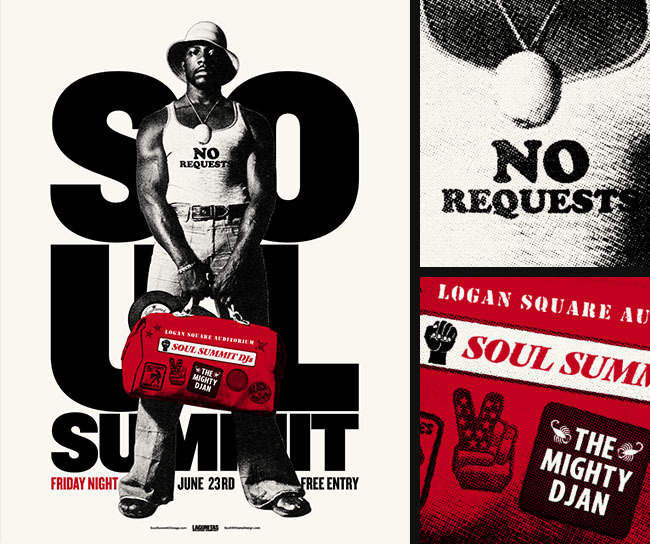 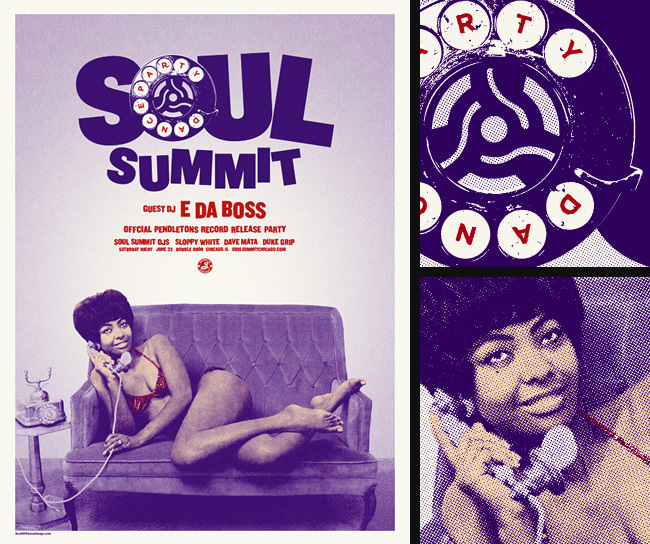 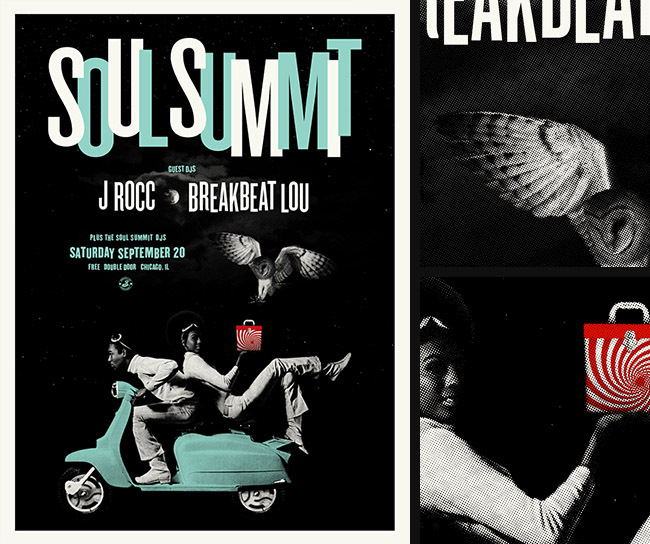 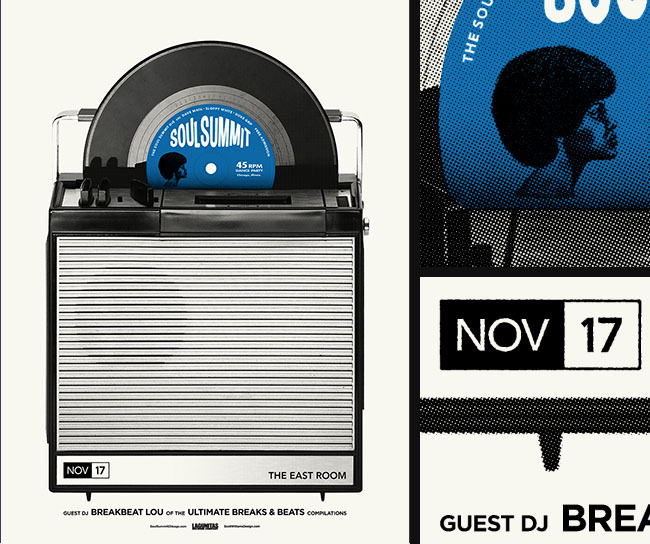 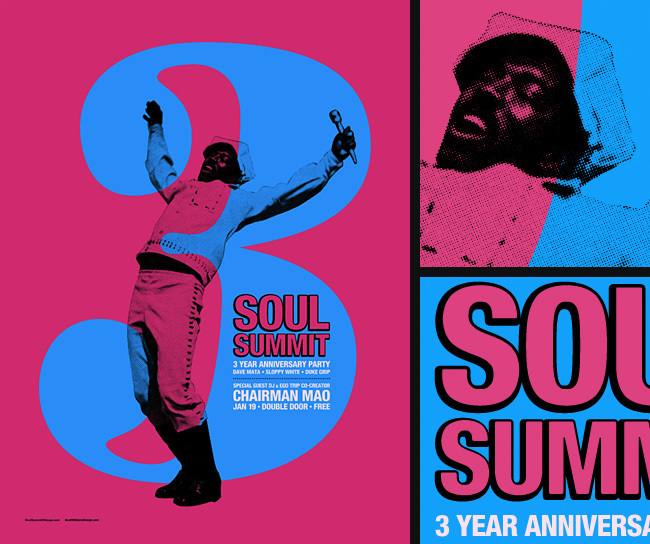 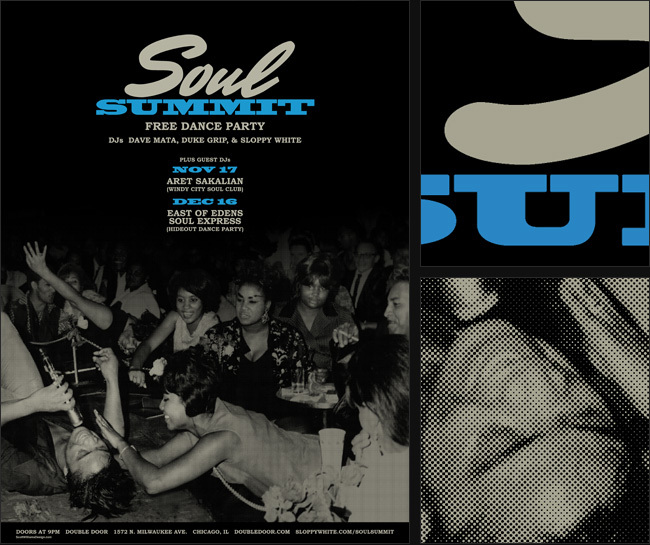 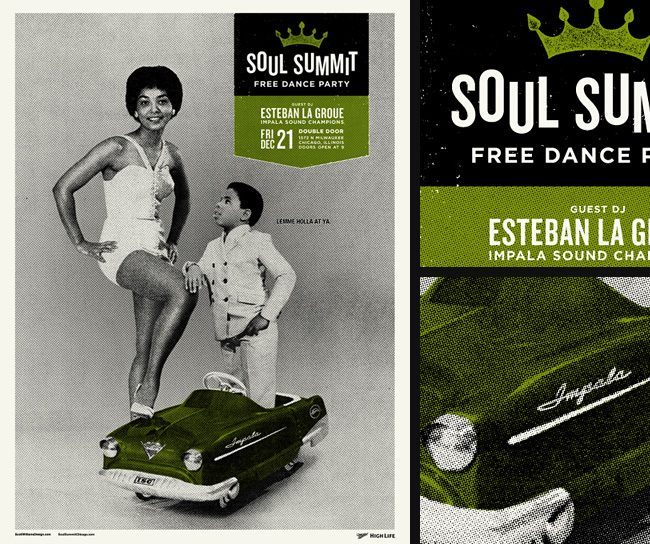 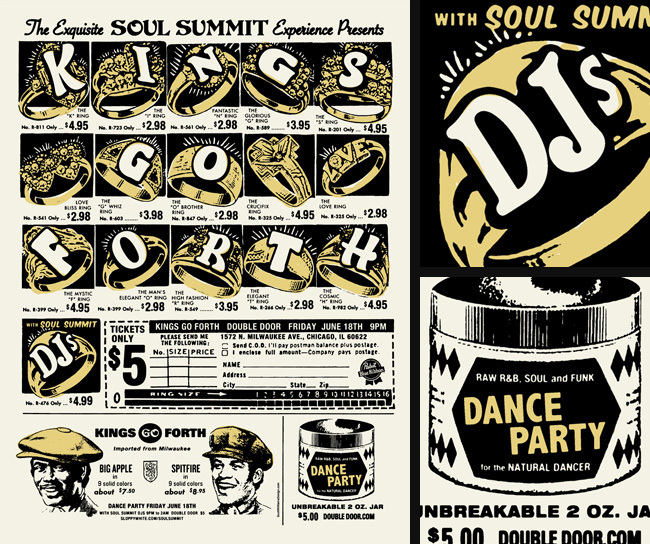 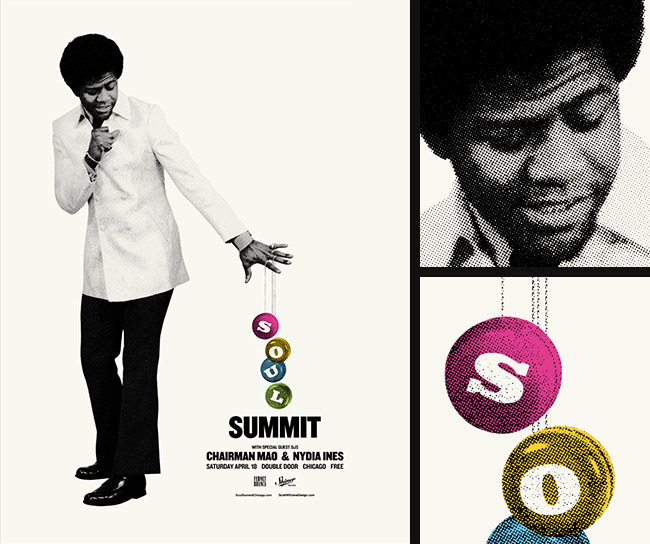 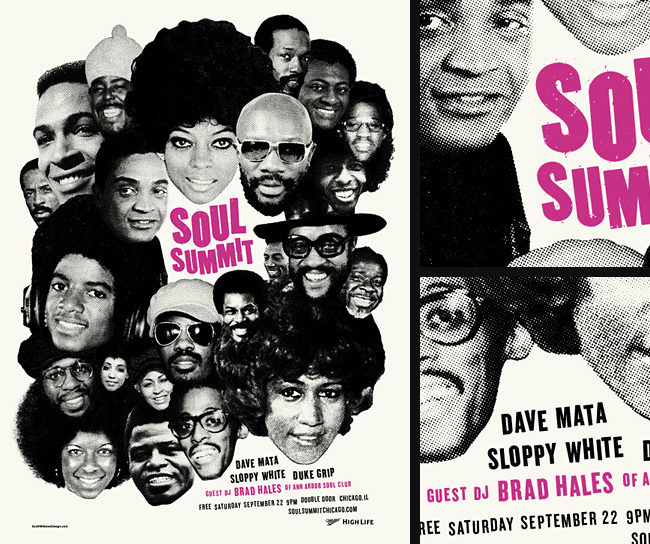 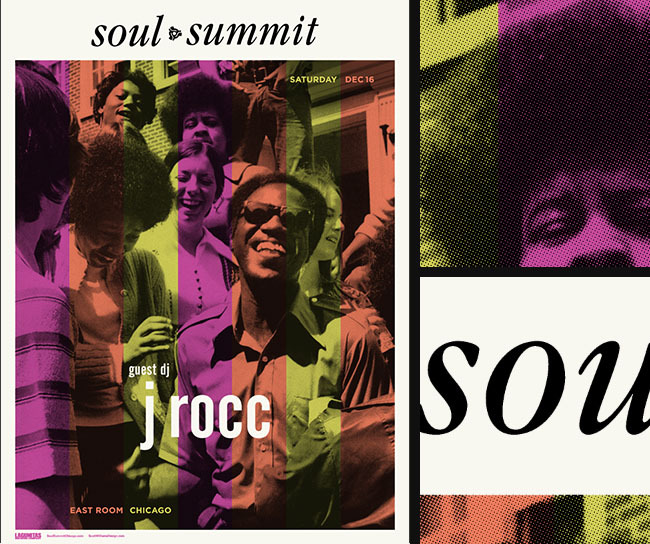 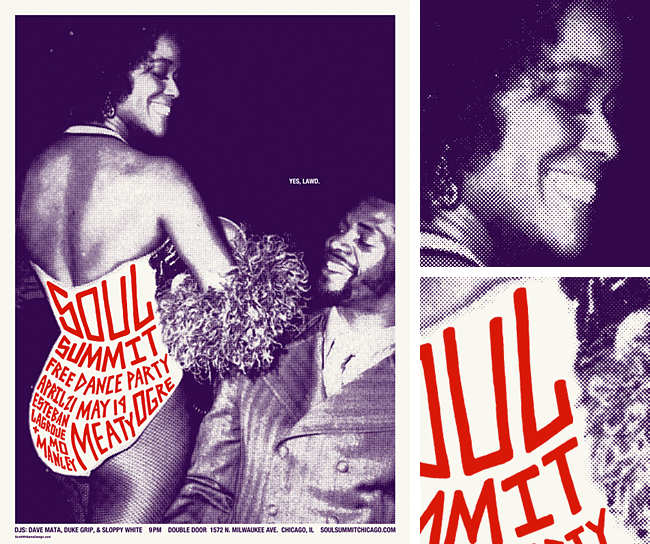 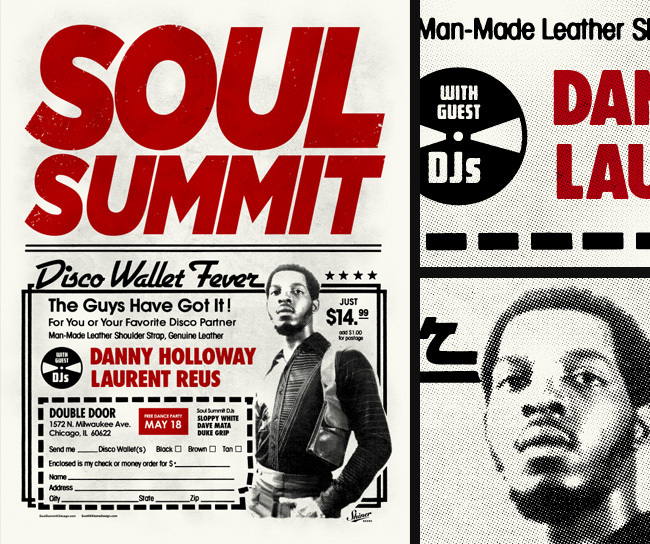 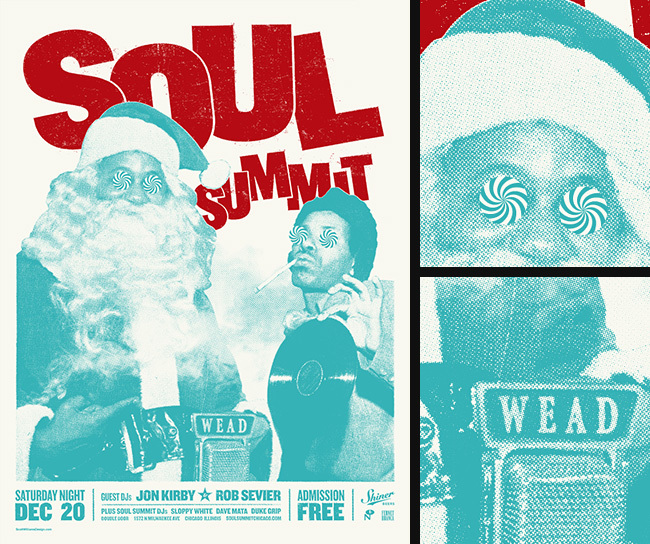 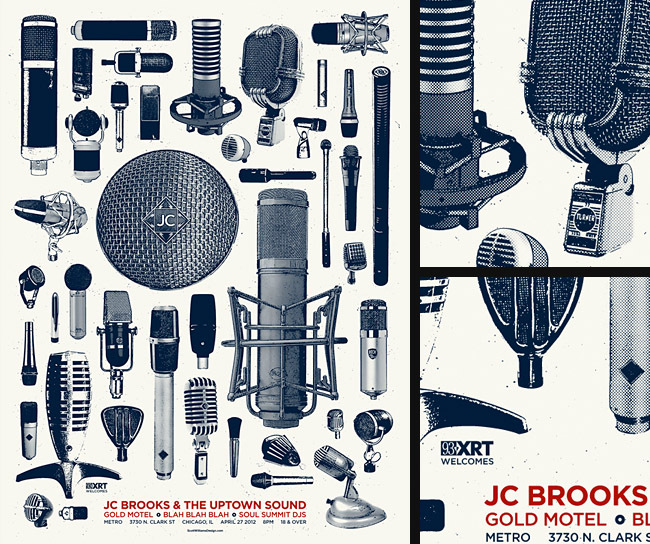 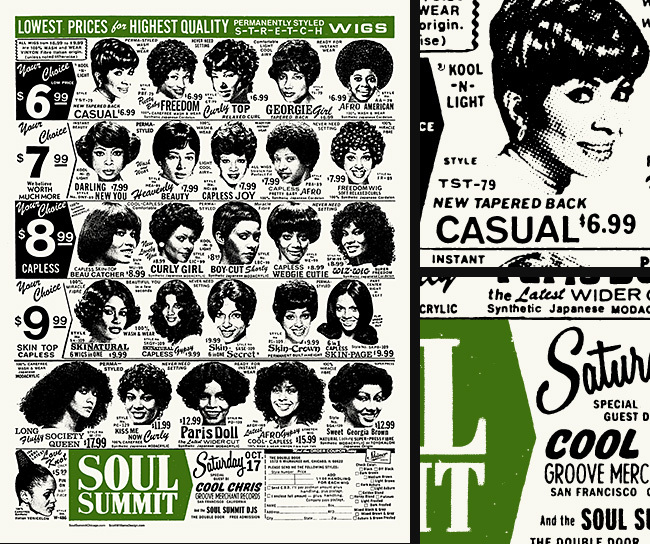 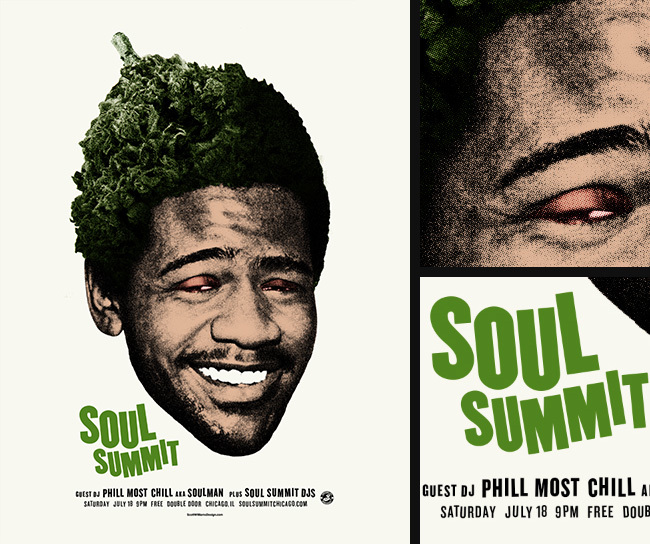 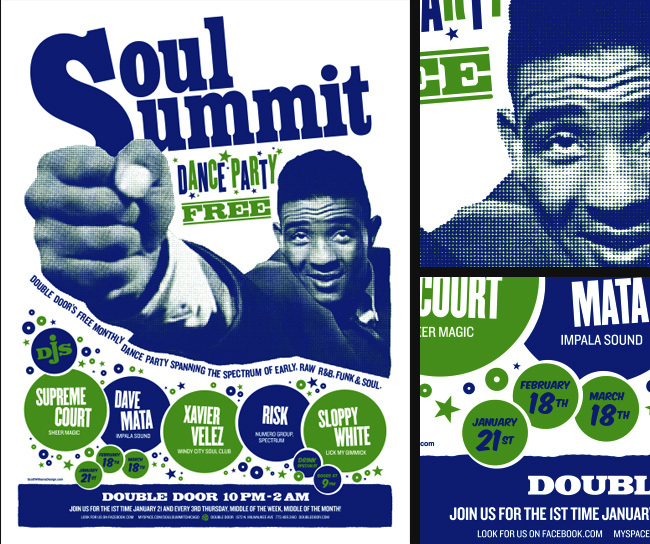 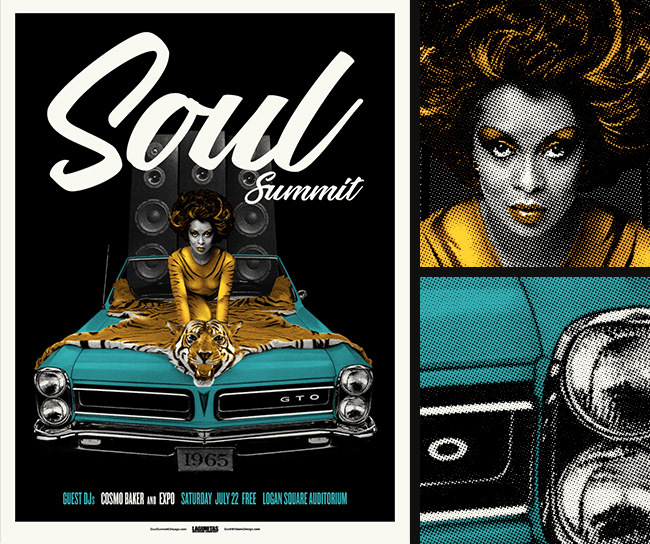 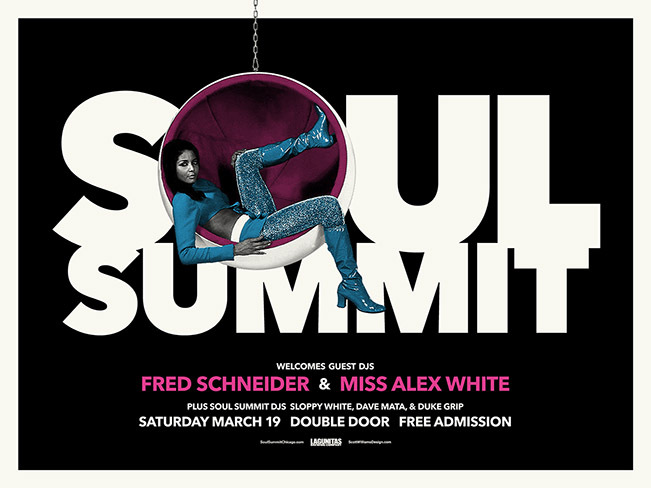 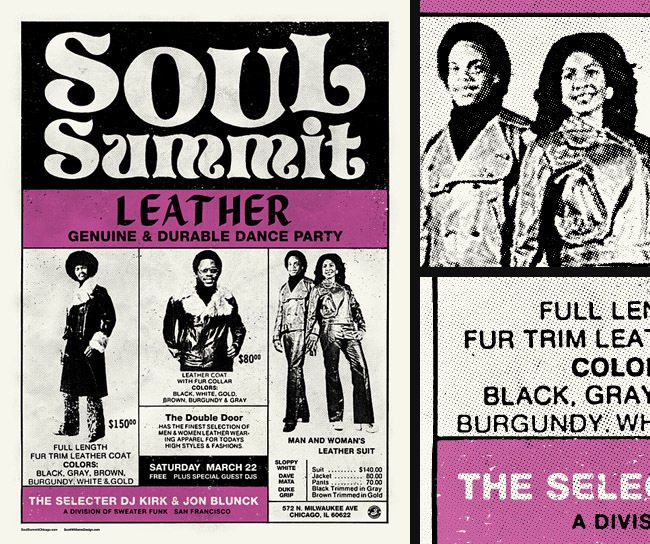 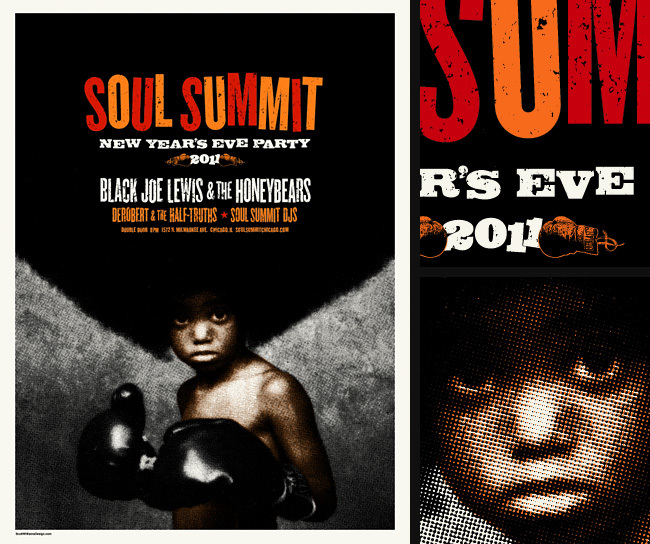 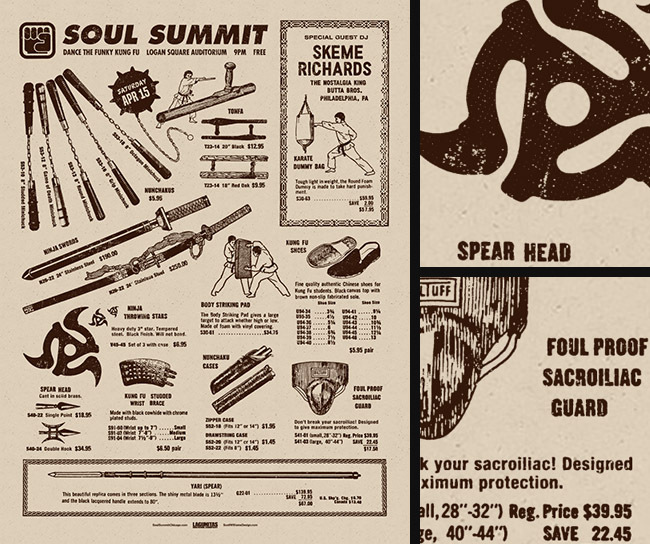 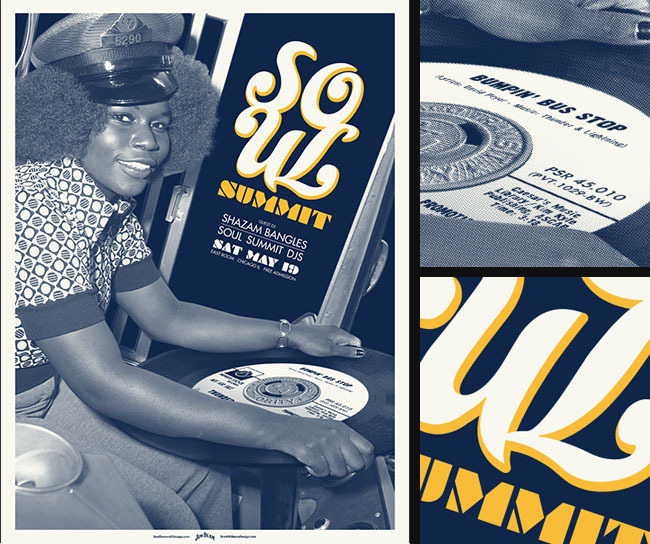 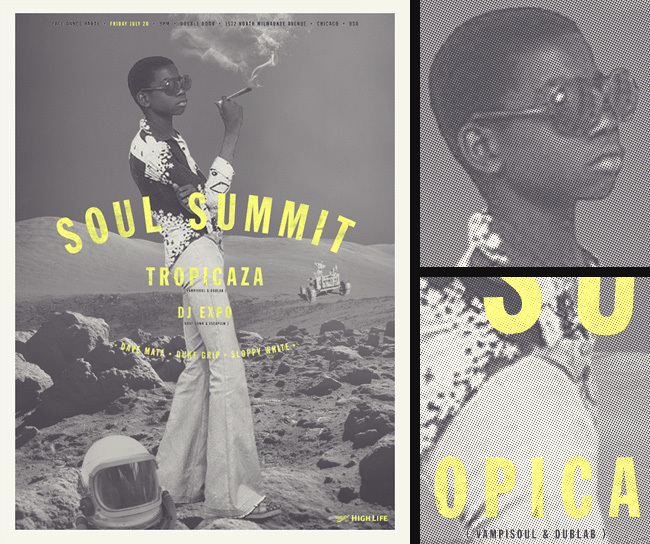 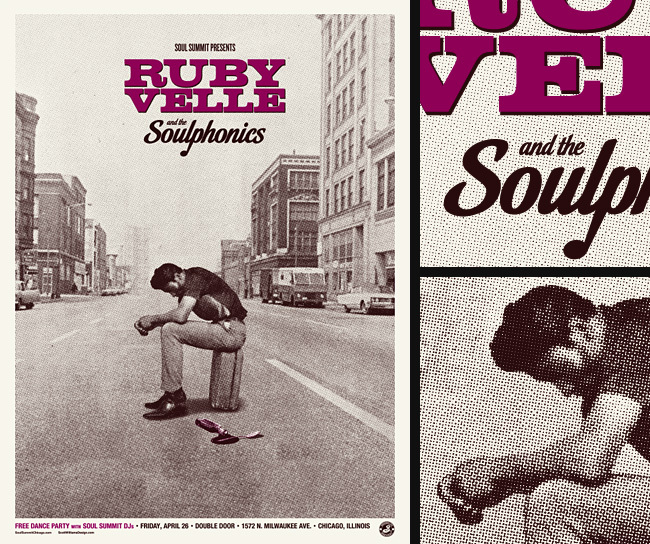 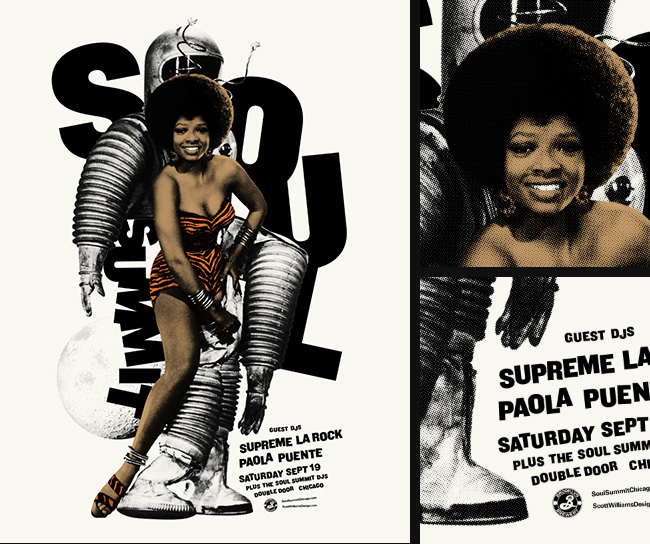 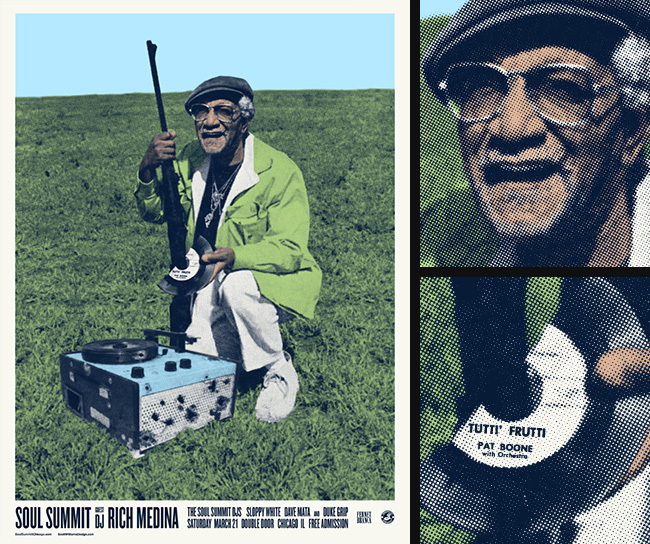 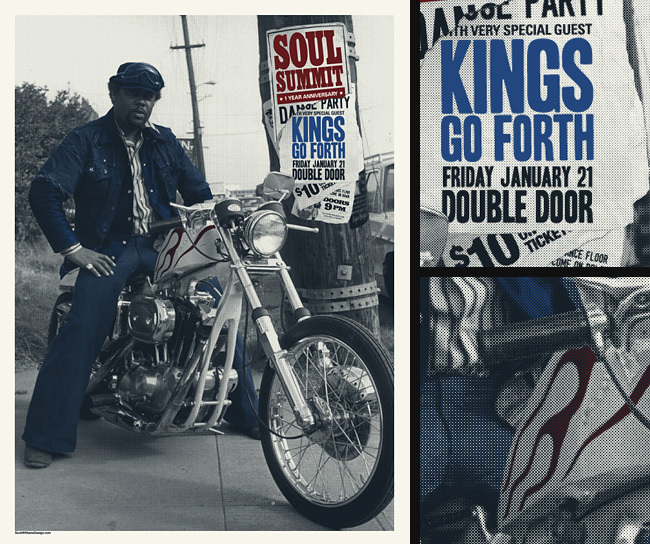 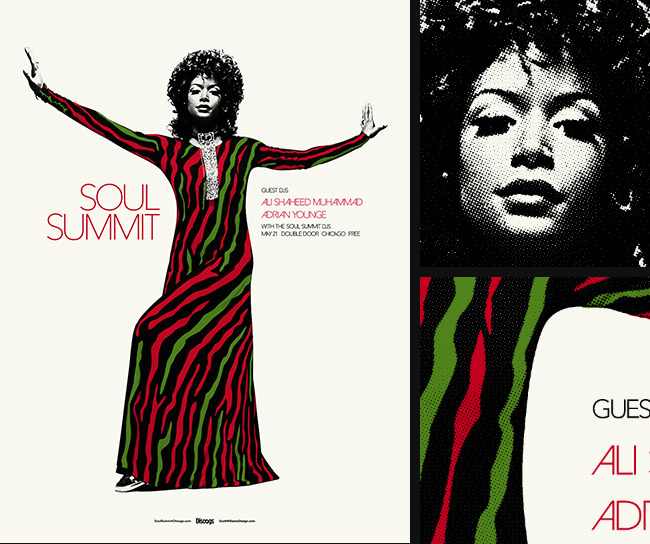 SOUL SUMMIT POSTER - 13 "Foster Jackson"
The CDs are attached via a plastic CD hub to real soul 45s packaged in plastic 45 sleeves. 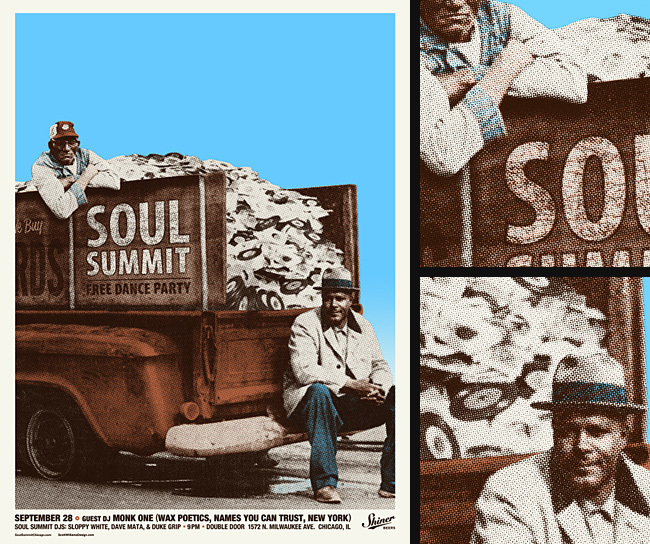 View a video of how they're made. 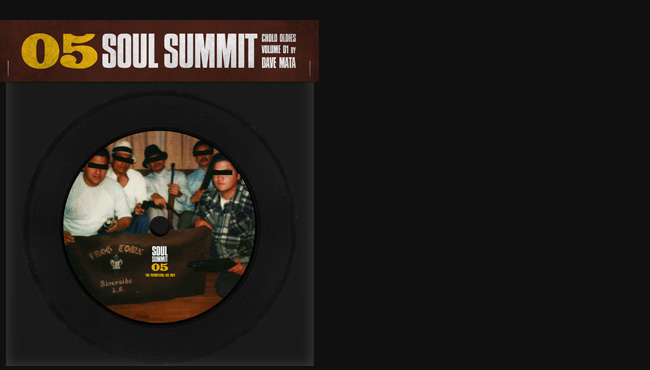 Volume 05 features: Dave Mata "Cholo Oldies Vol 1"
Printed by Busy Beaver Button Co.